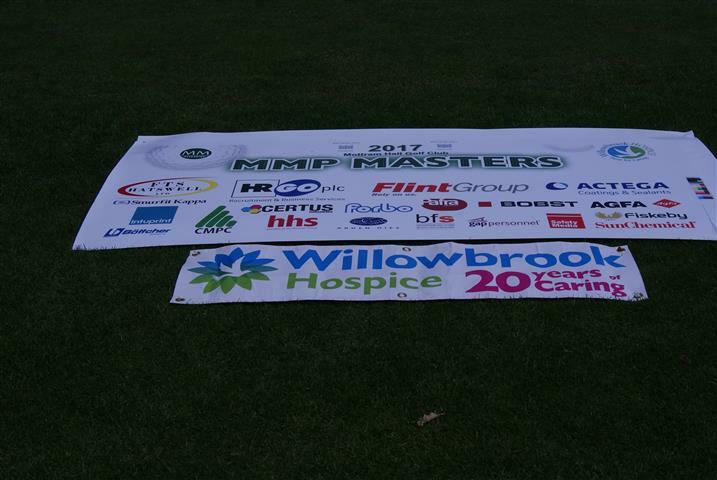 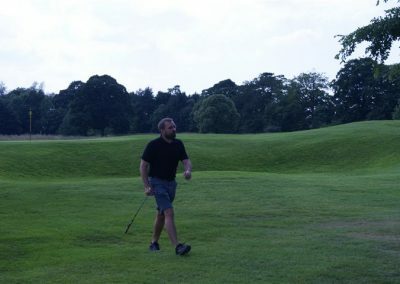 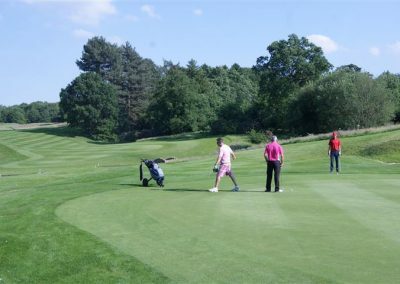 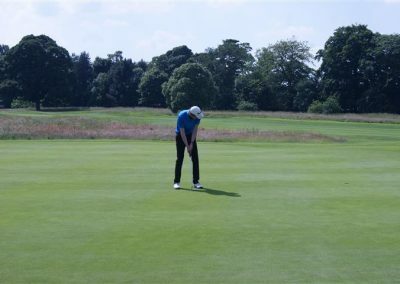 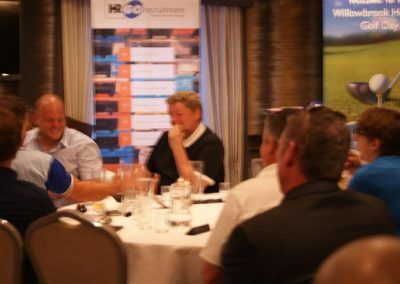 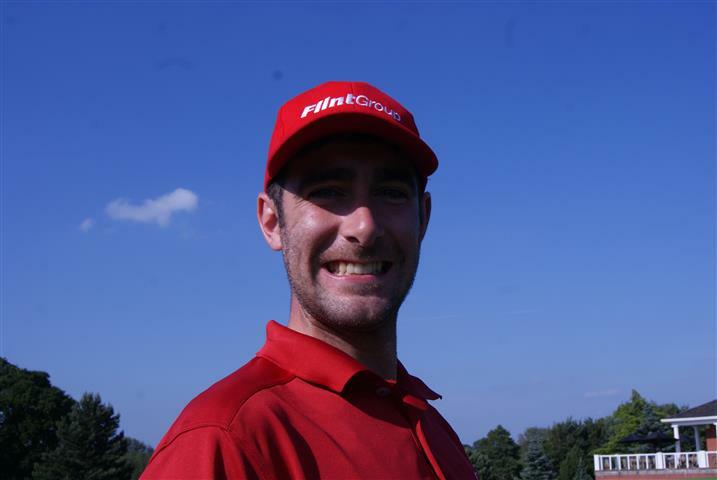 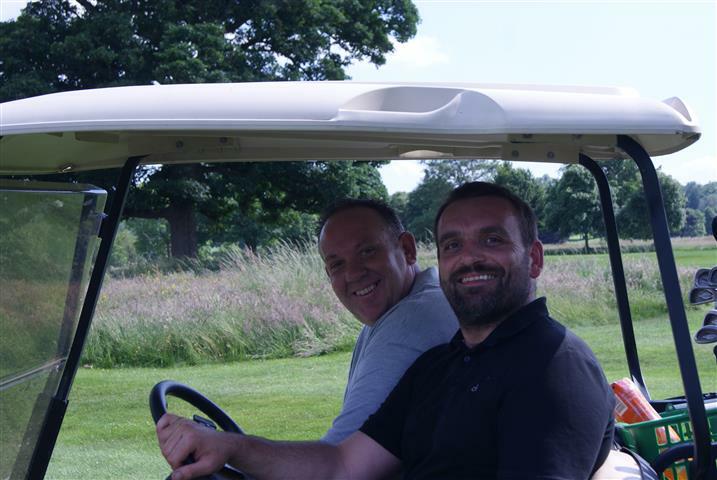 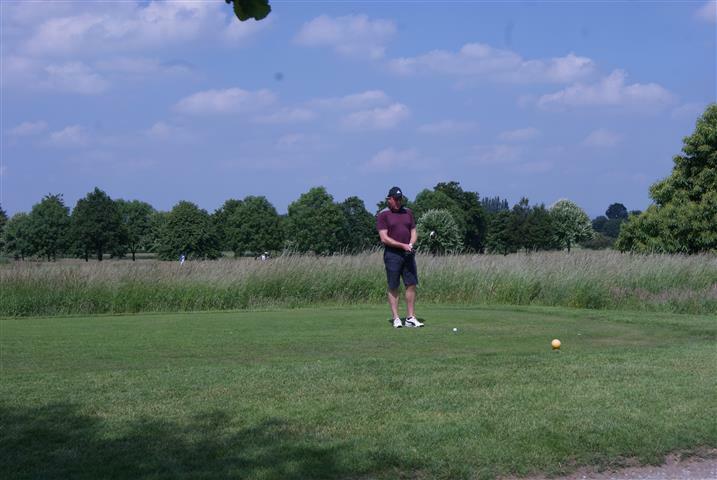 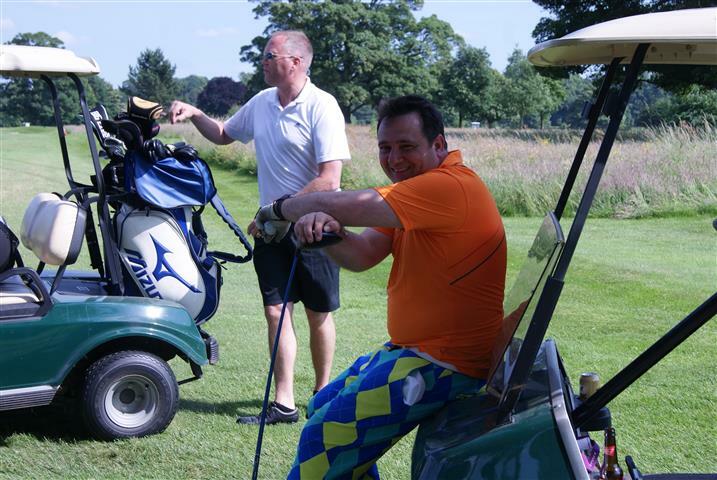 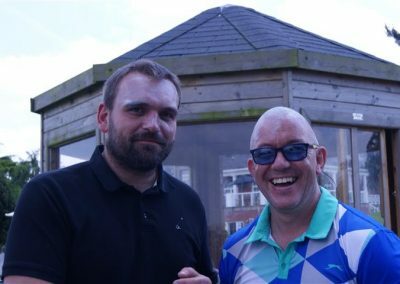 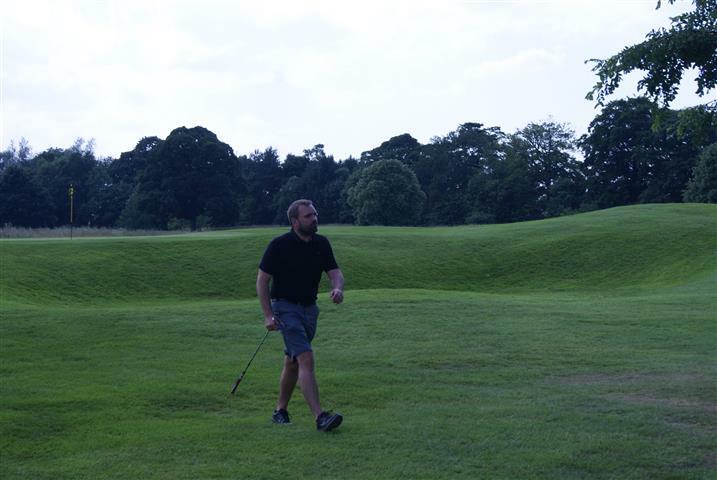 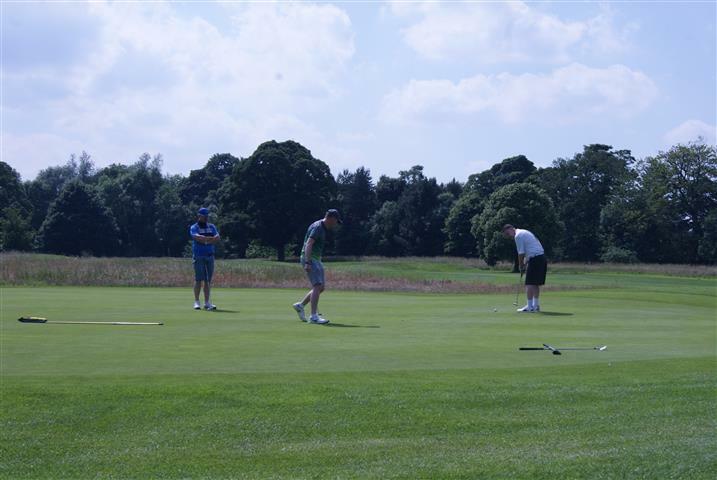 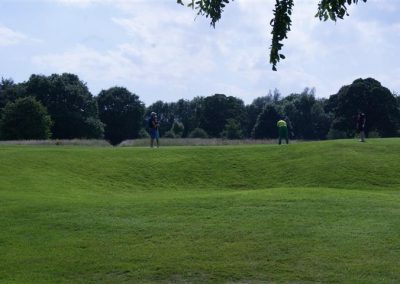 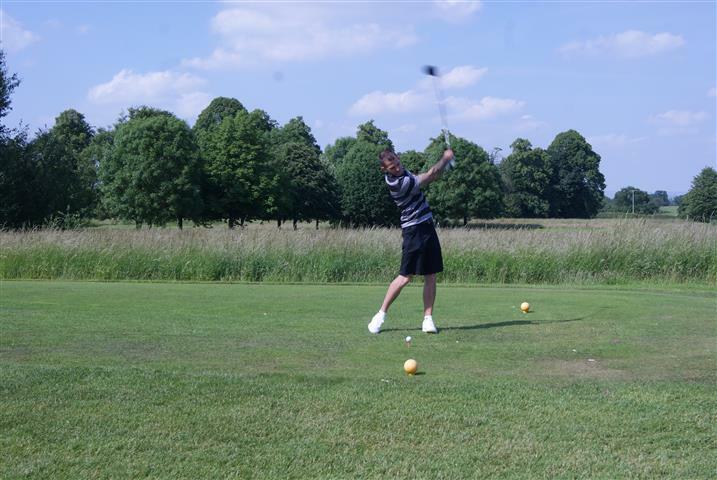 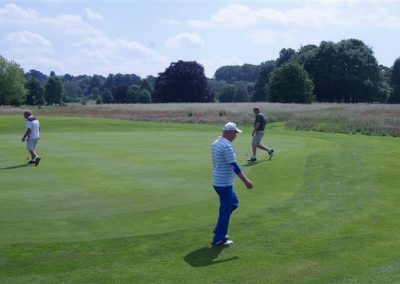 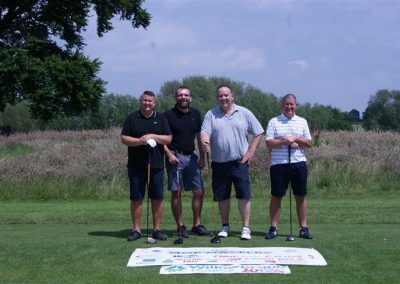 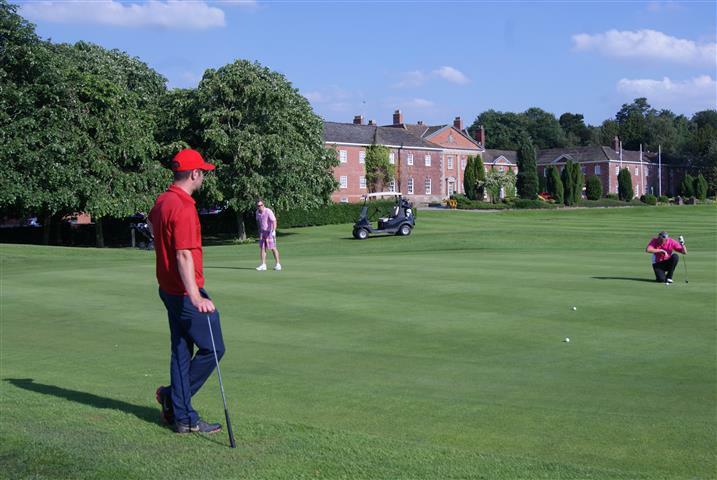 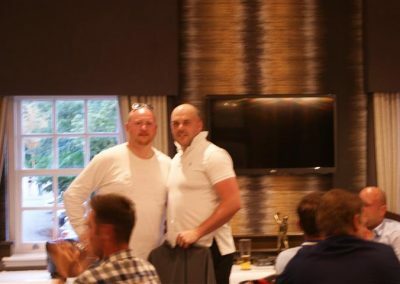 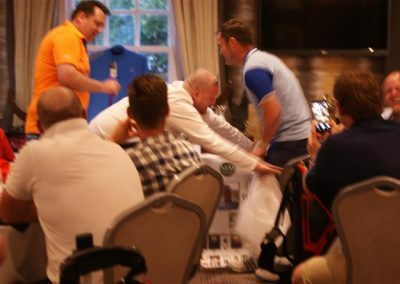 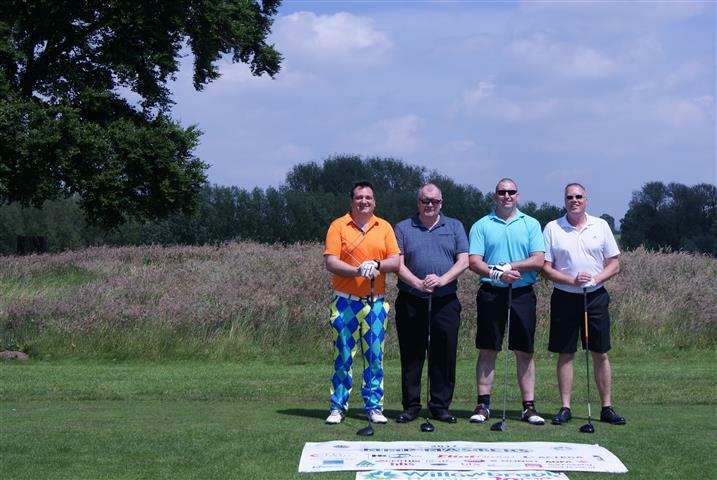 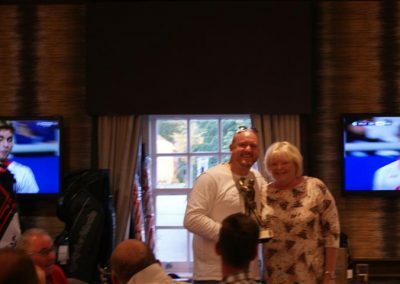 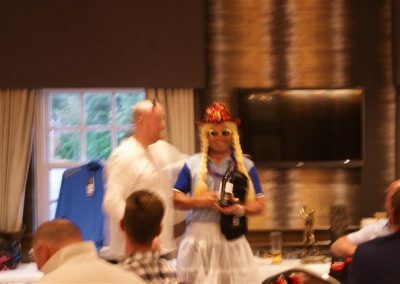 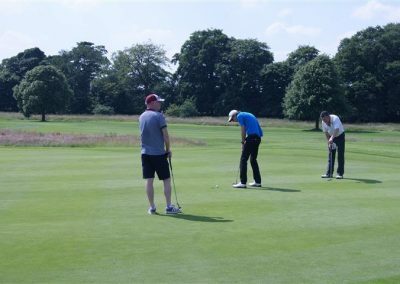 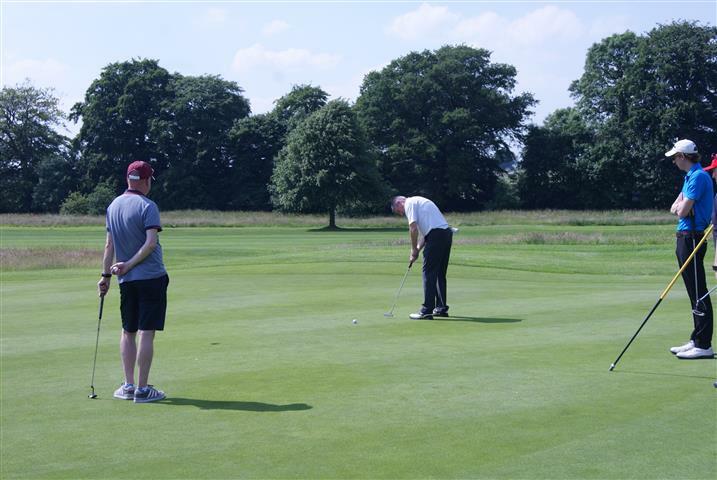 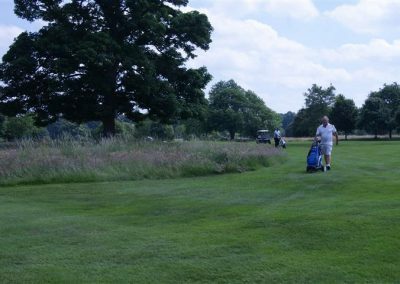 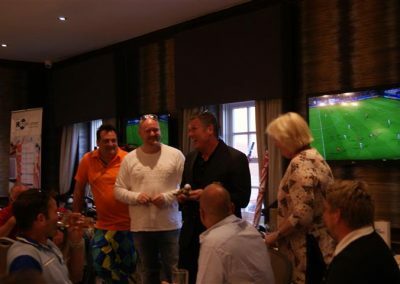 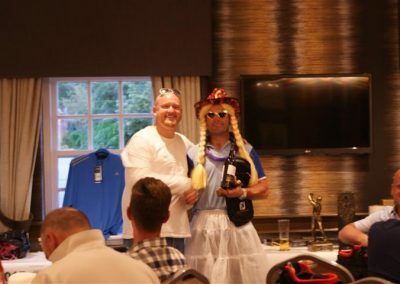 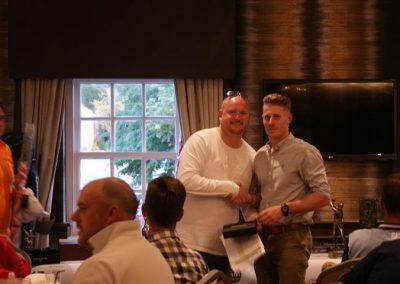 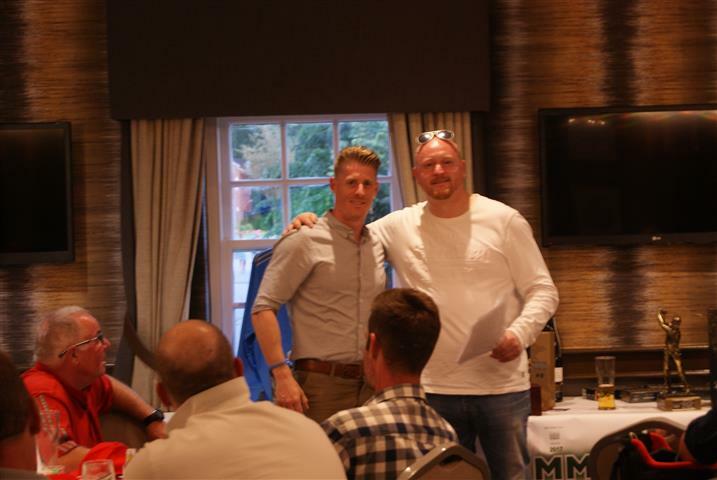 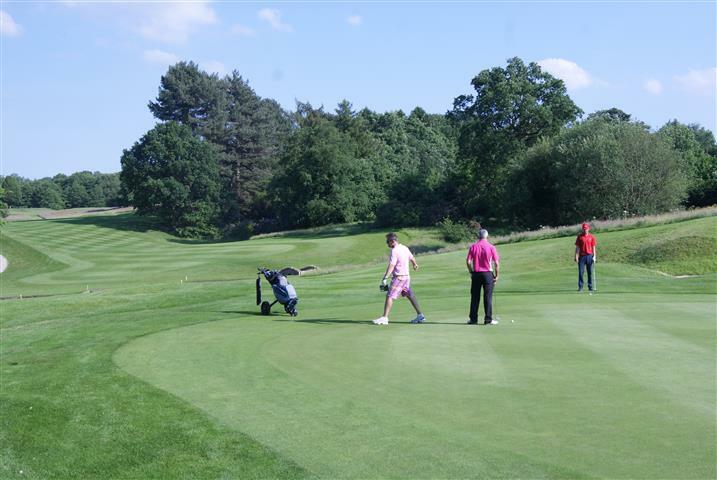 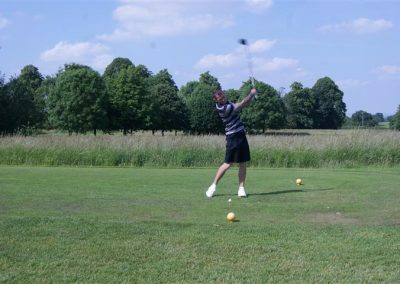 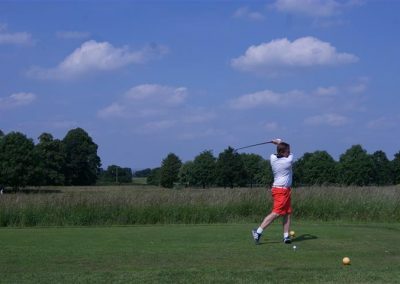 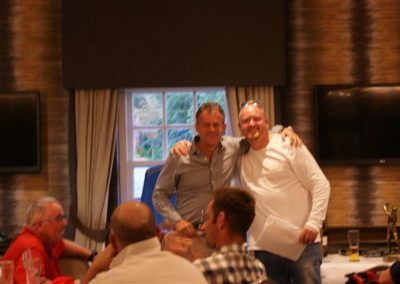 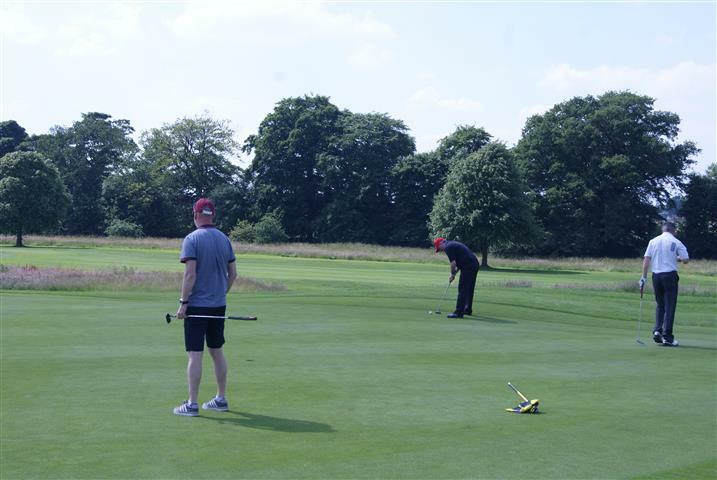 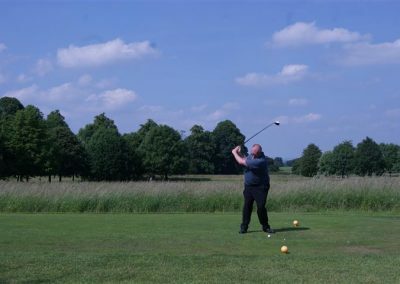 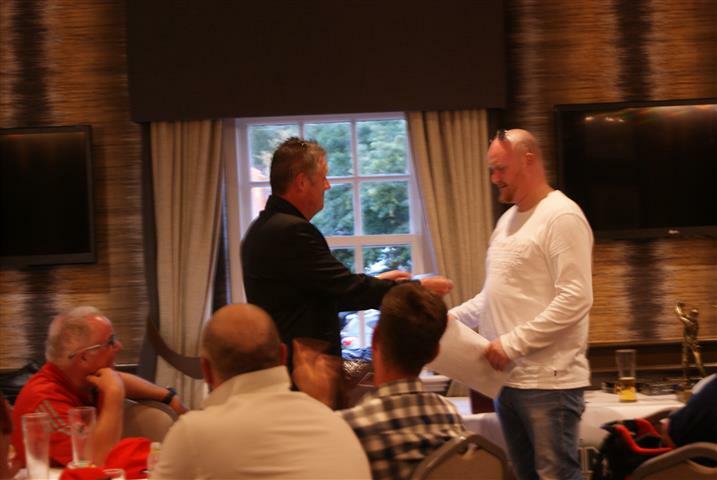 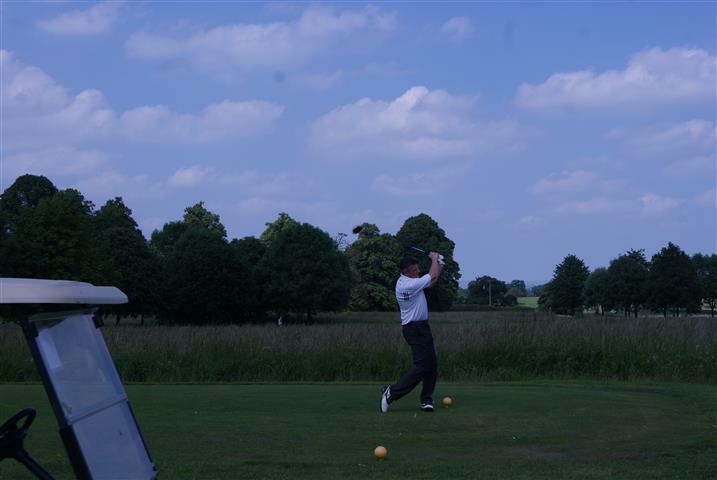 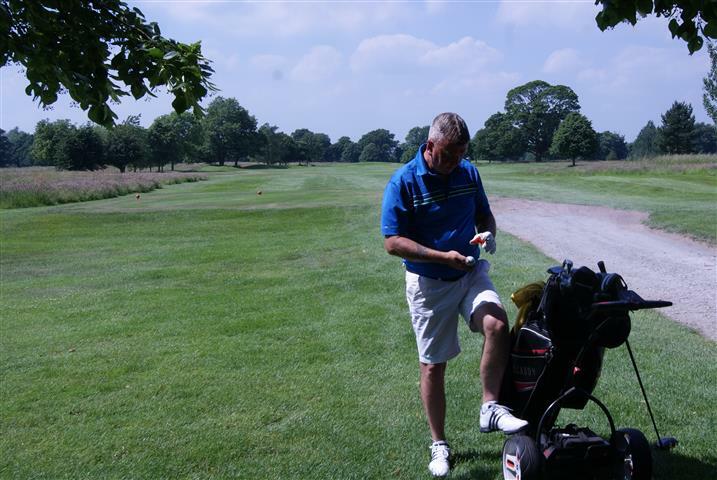 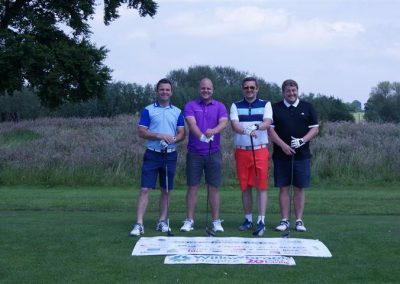 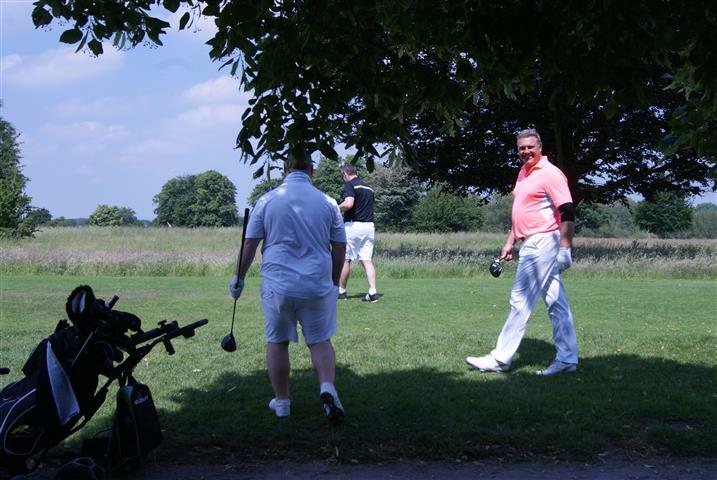 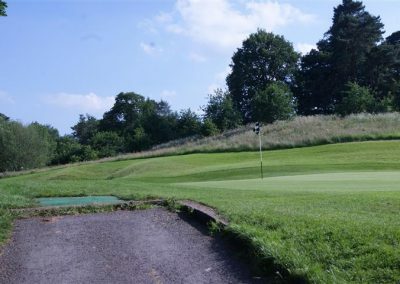 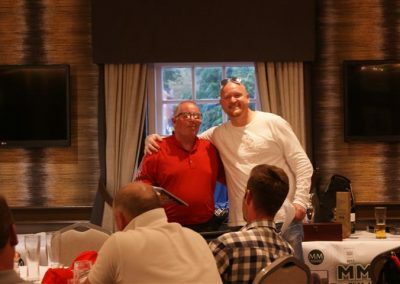 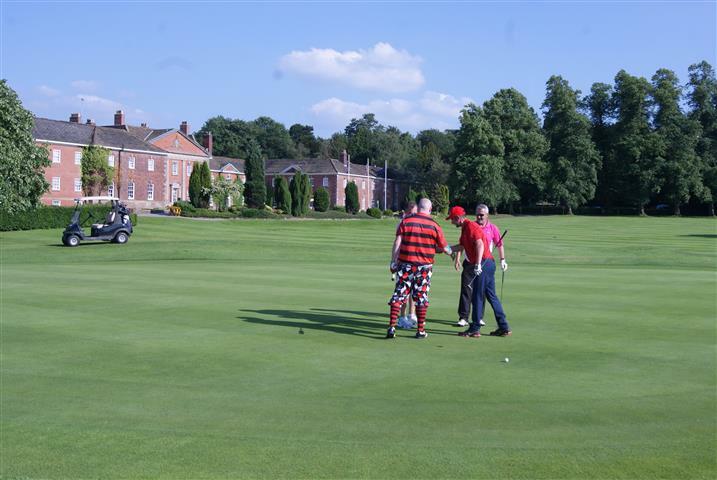 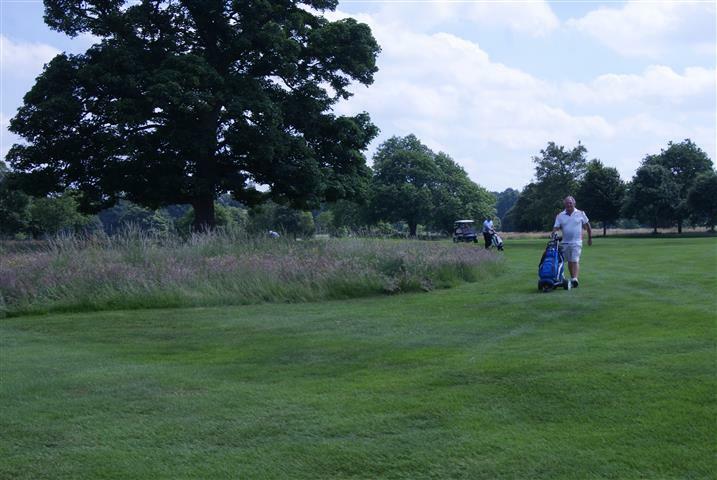 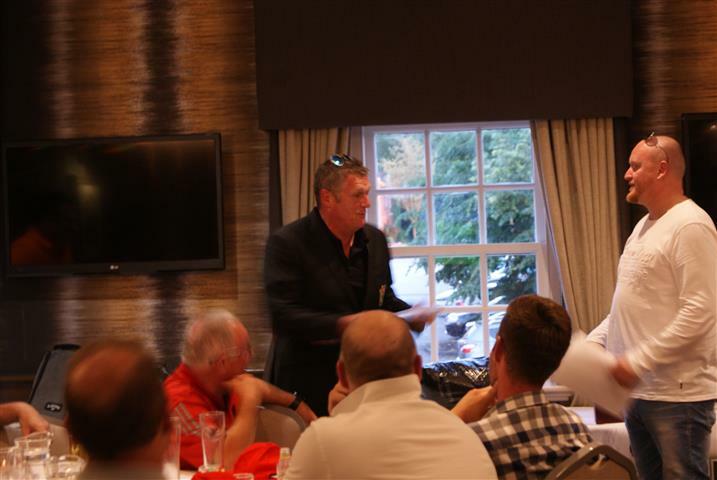 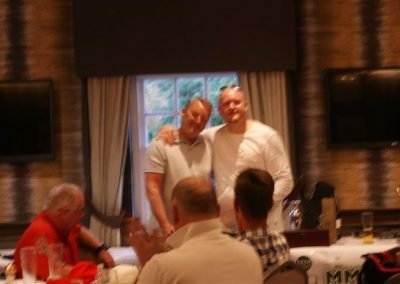 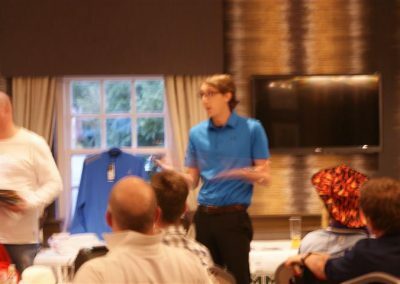 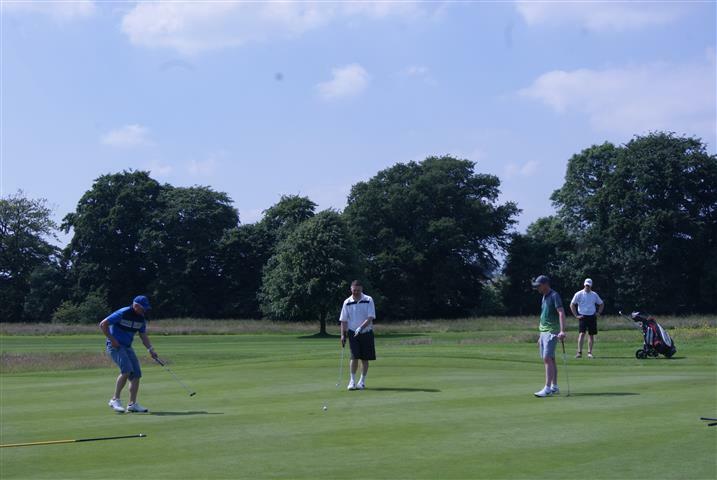 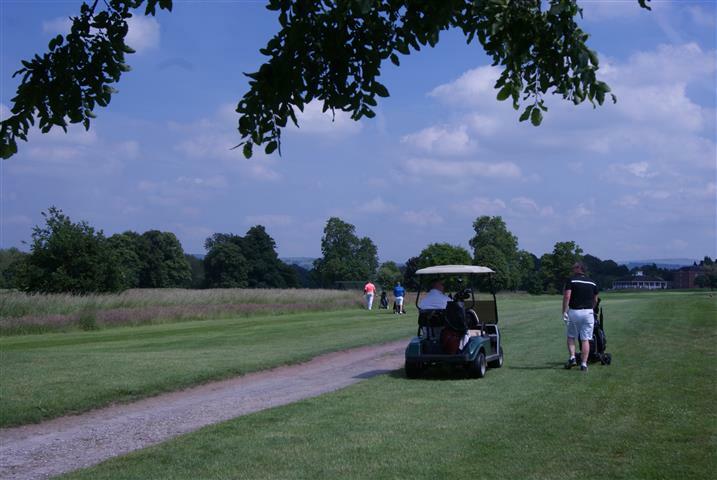 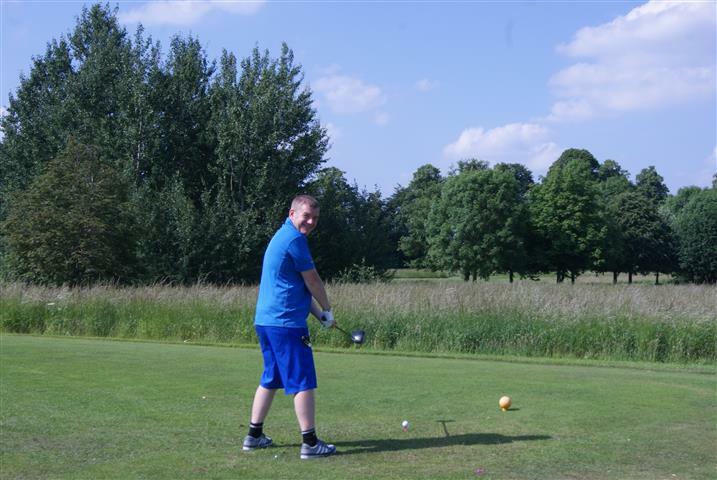 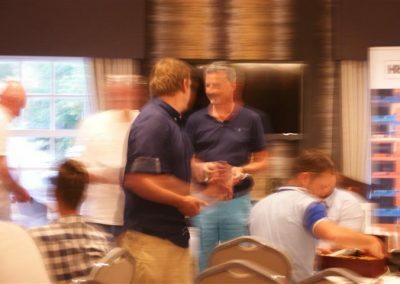 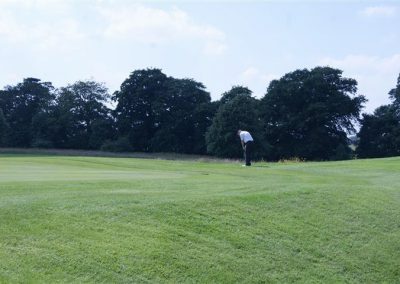 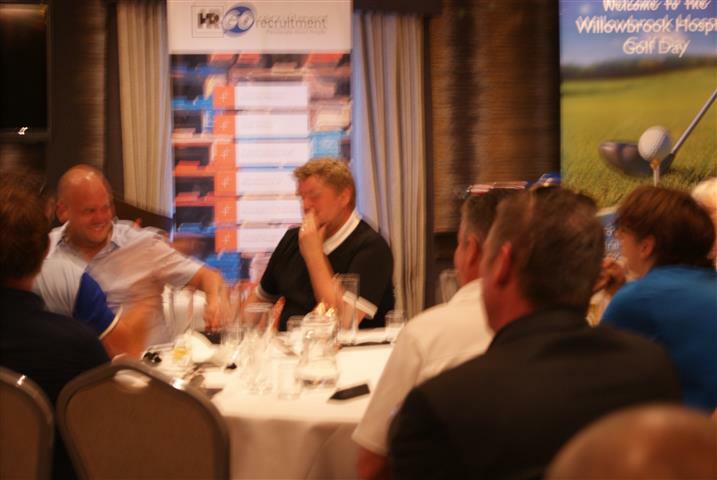 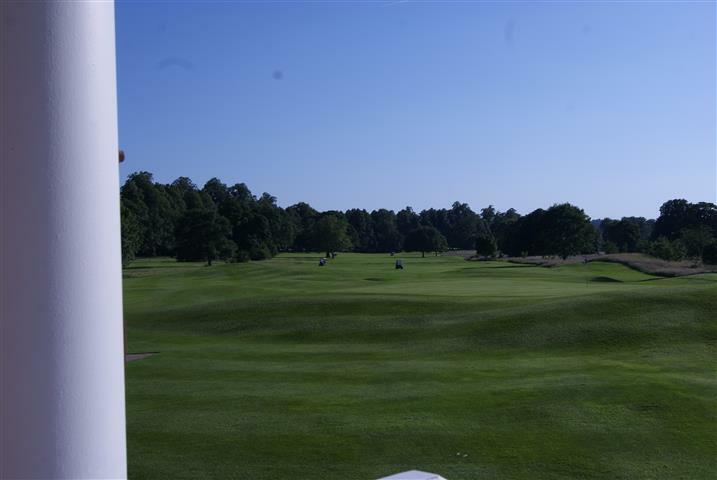 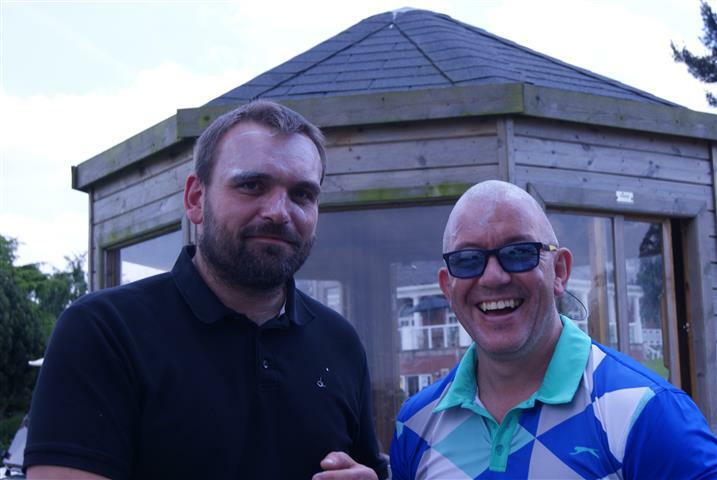 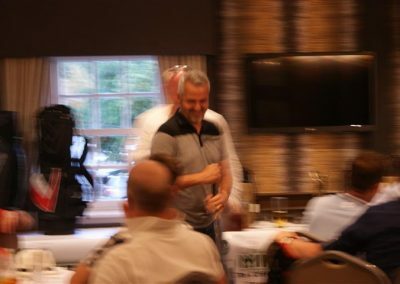 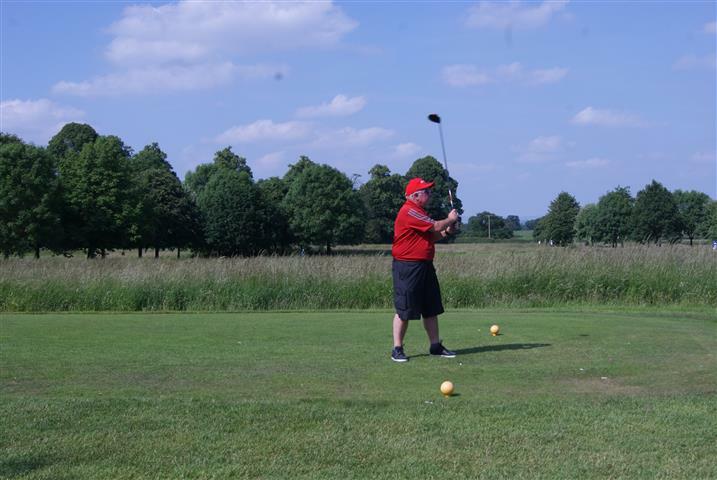 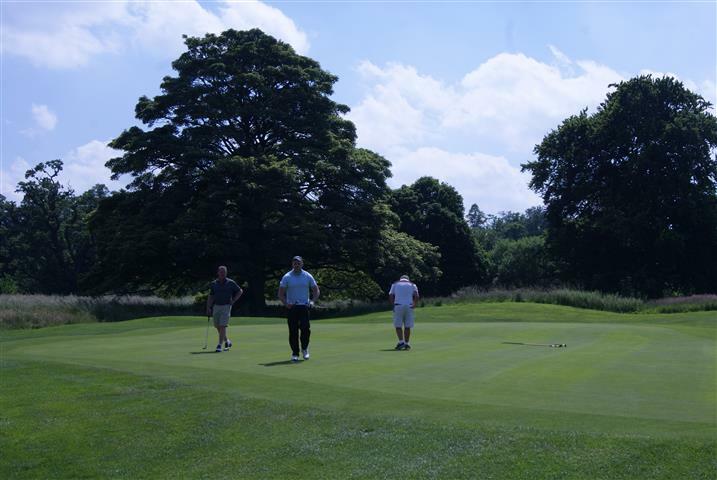 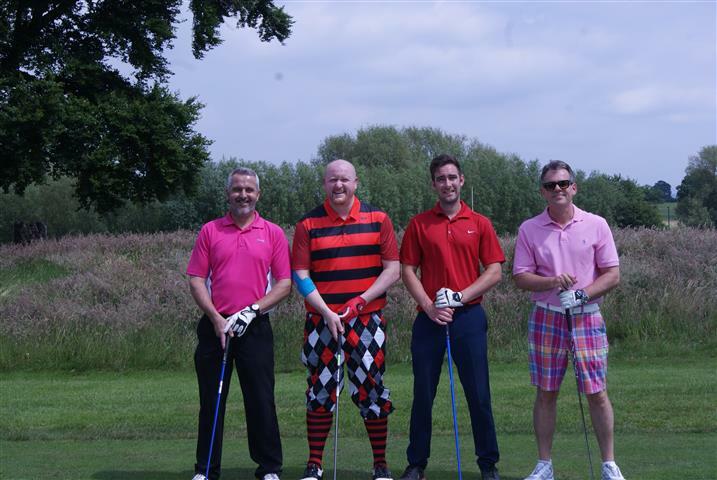 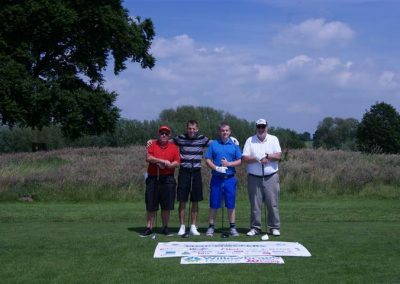 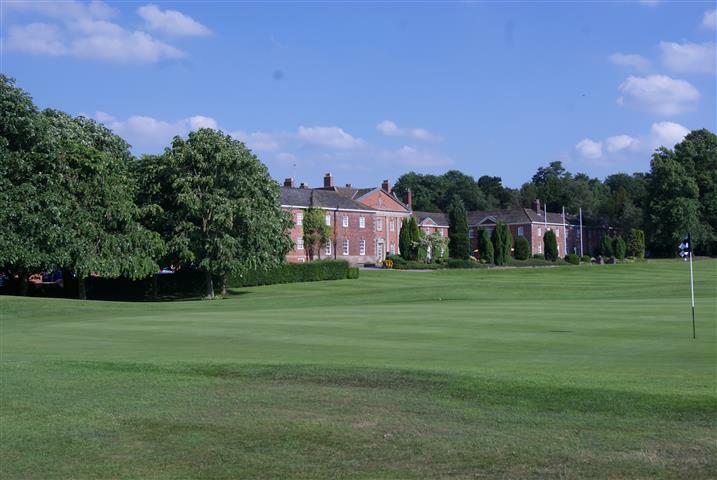 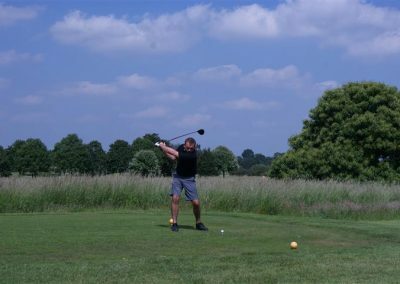 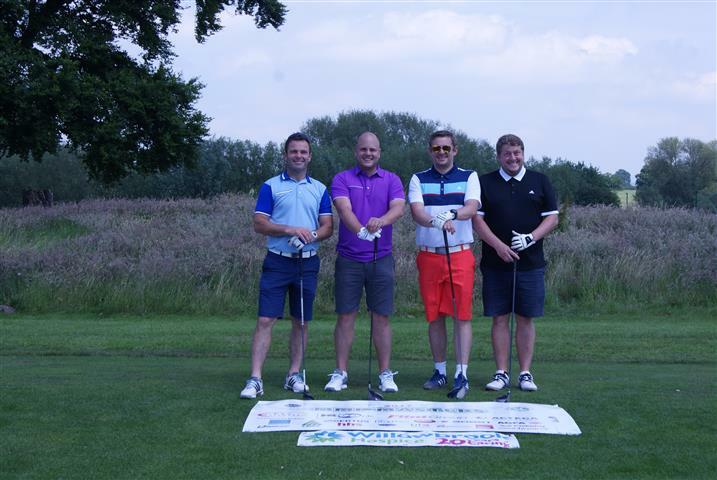 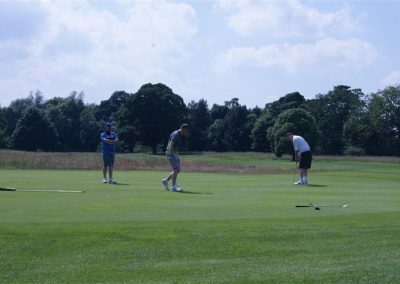 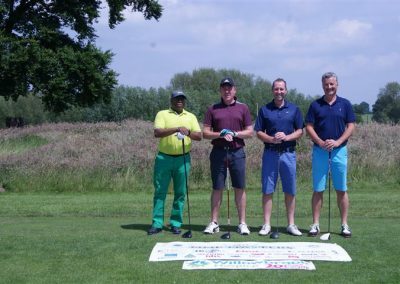 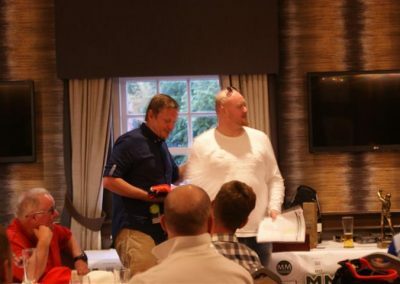 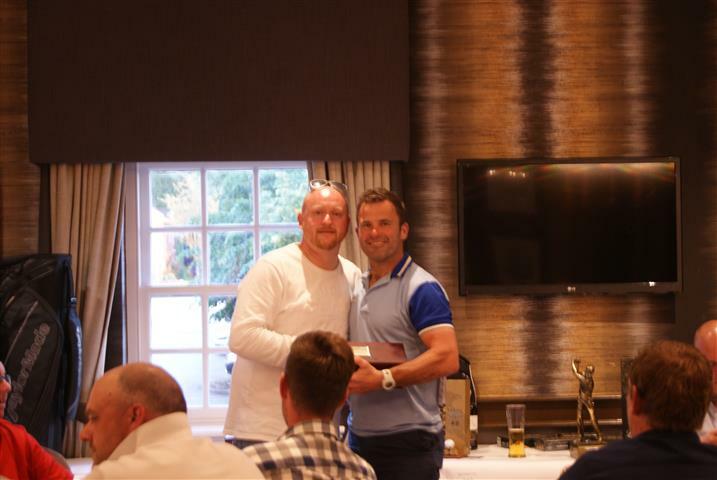 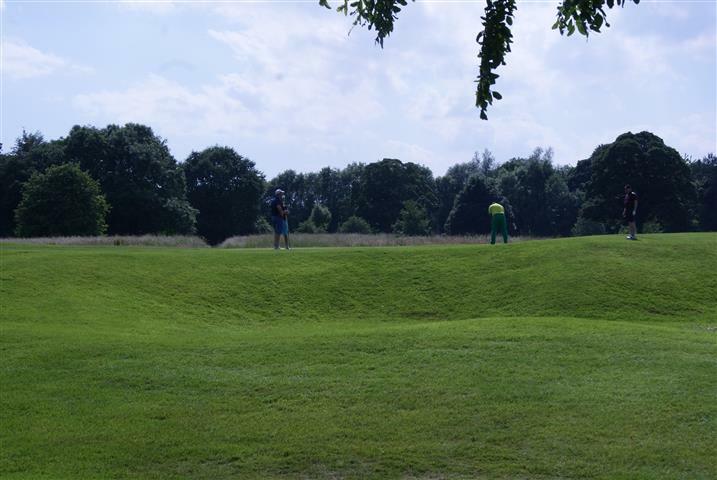 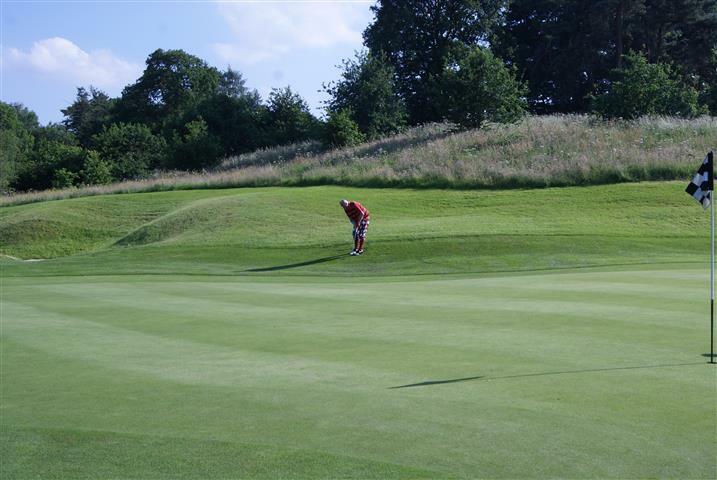 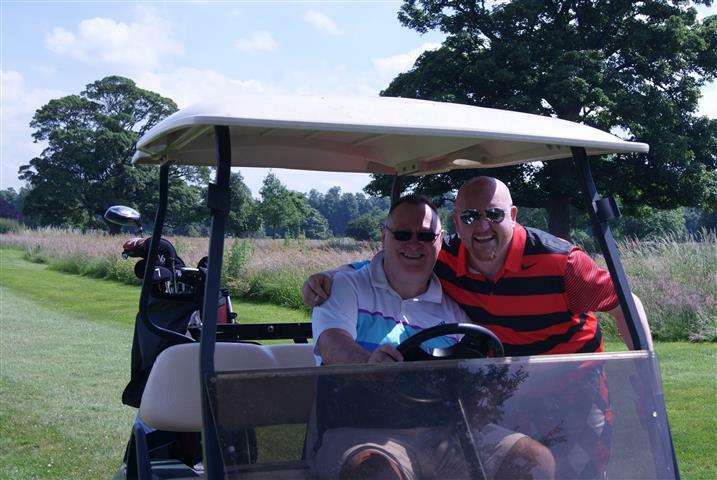 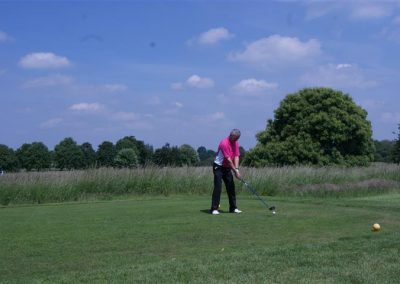 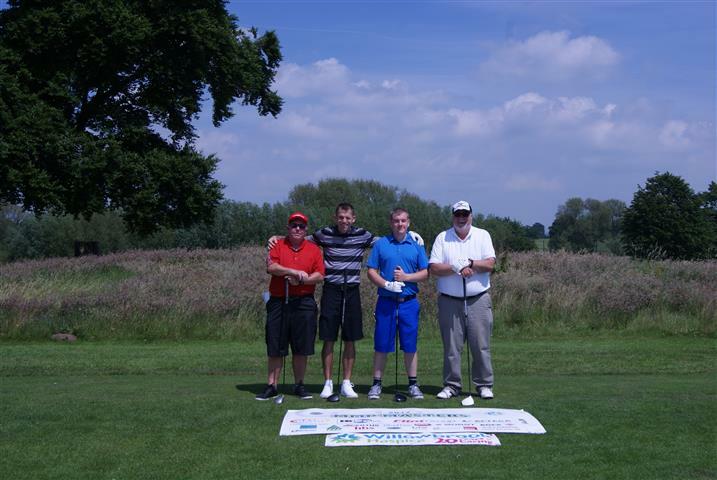 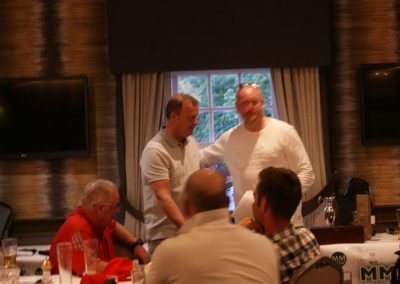 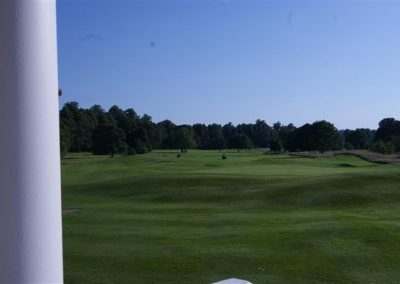 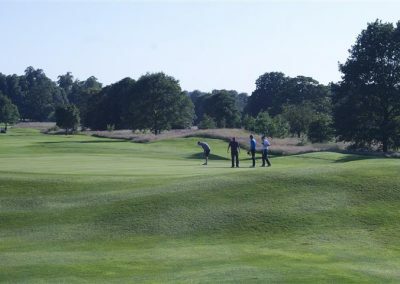 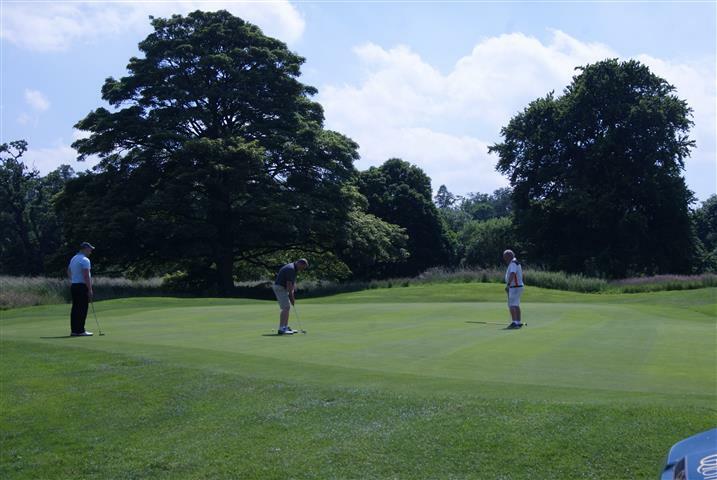 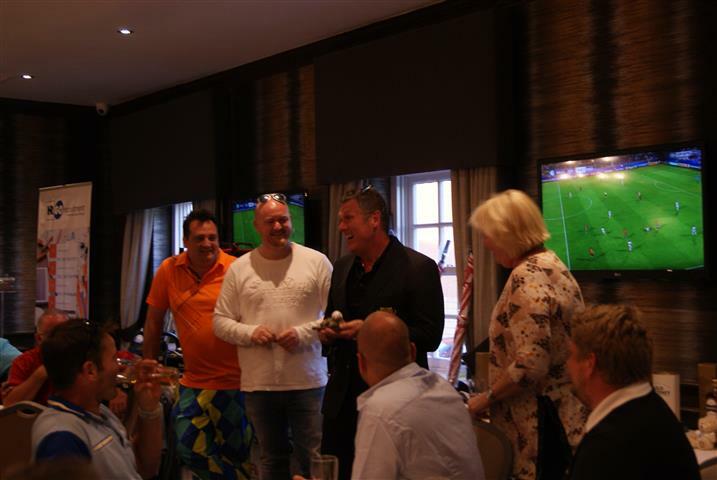 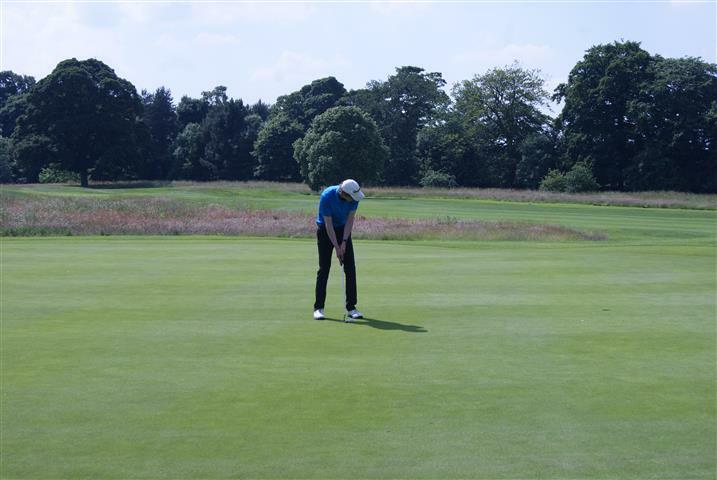 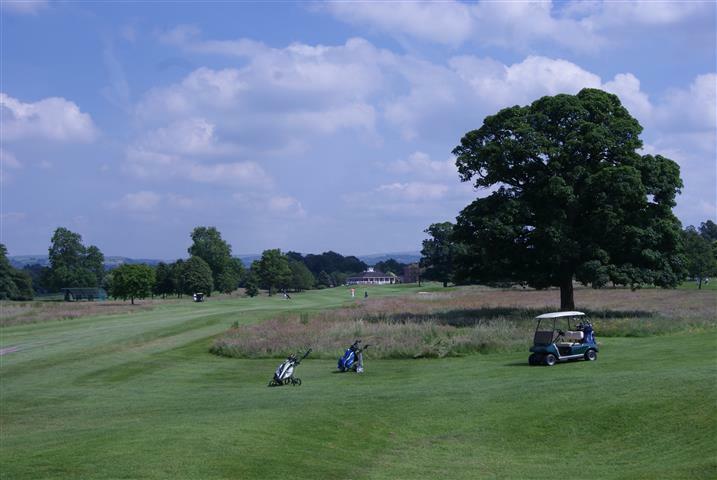 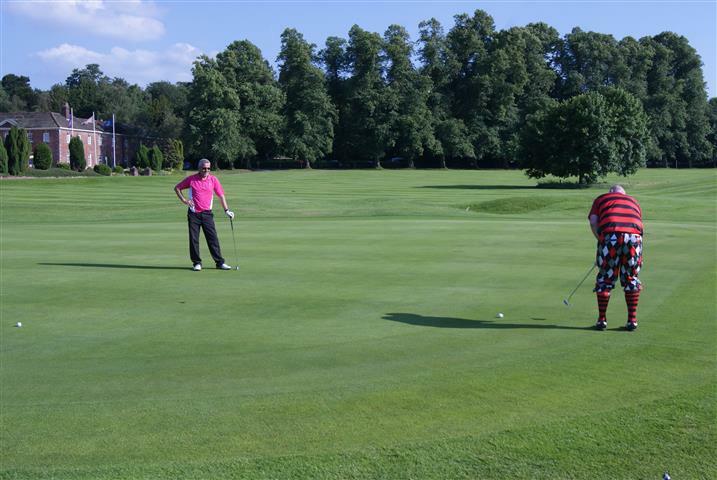 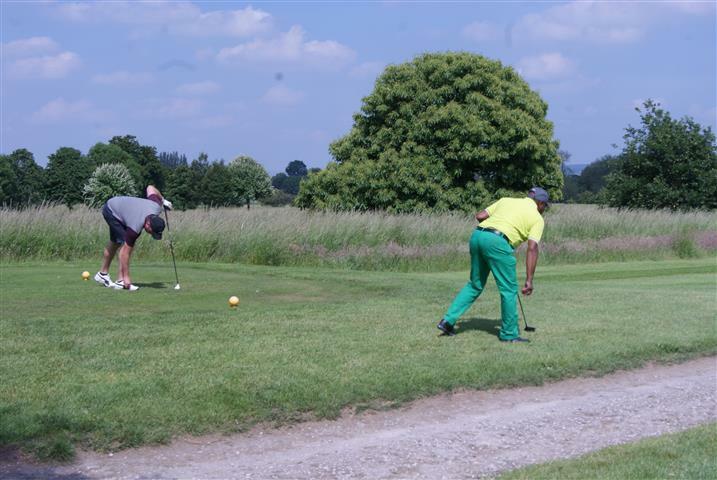 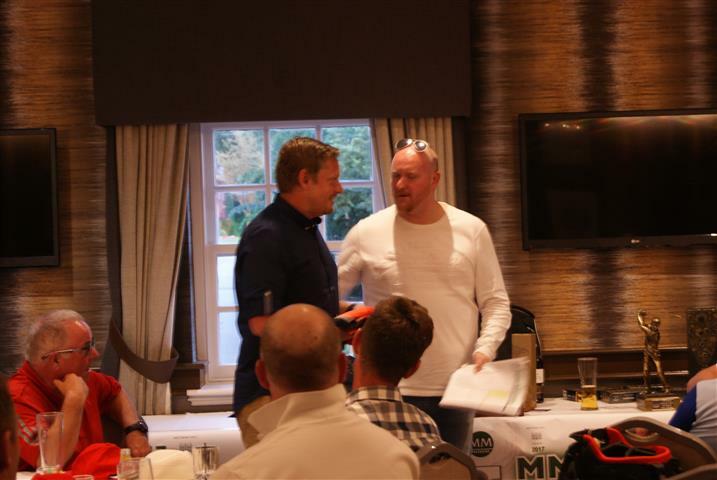 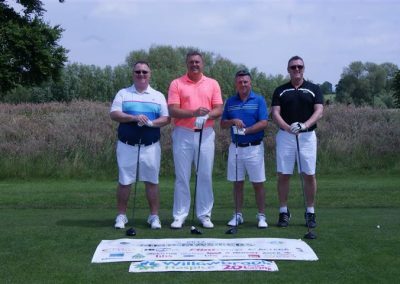 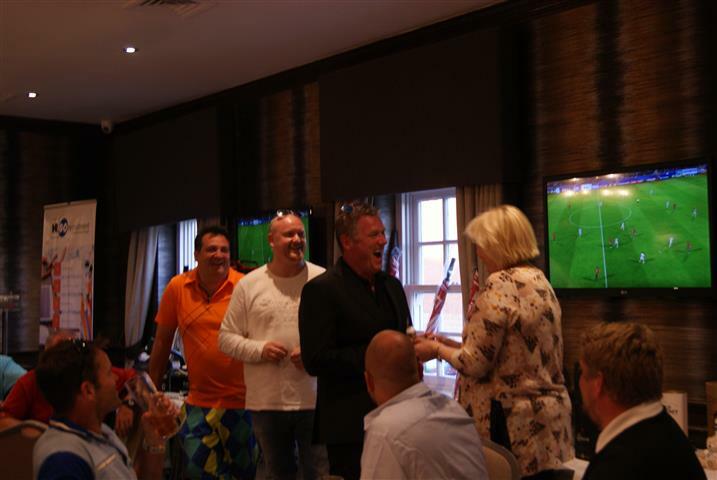 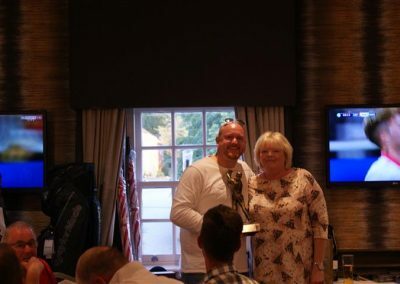 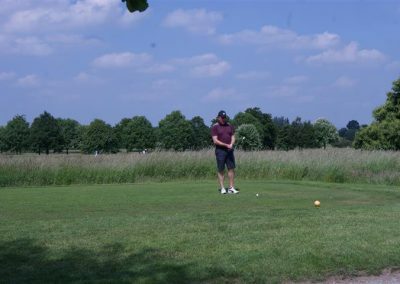 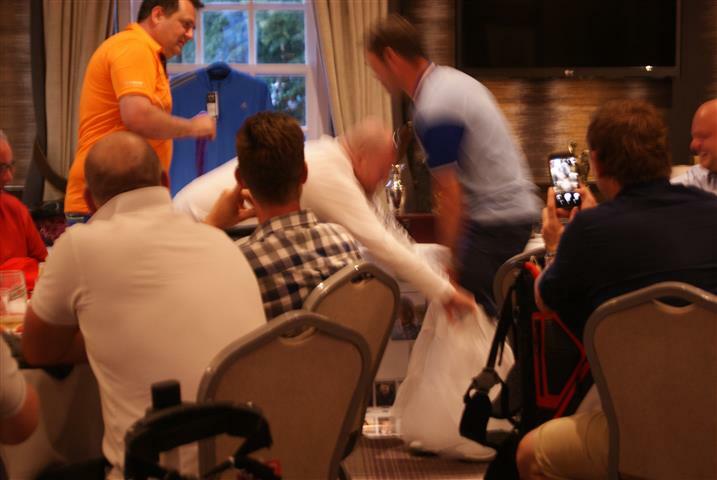 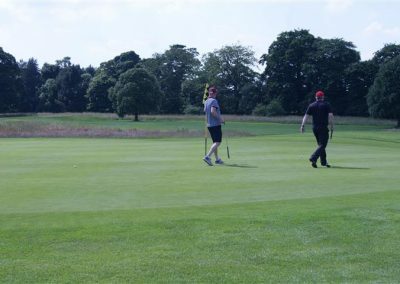 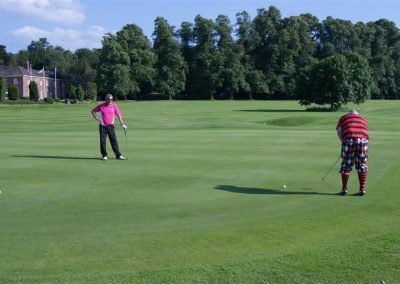 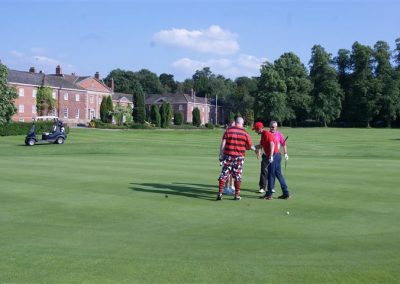 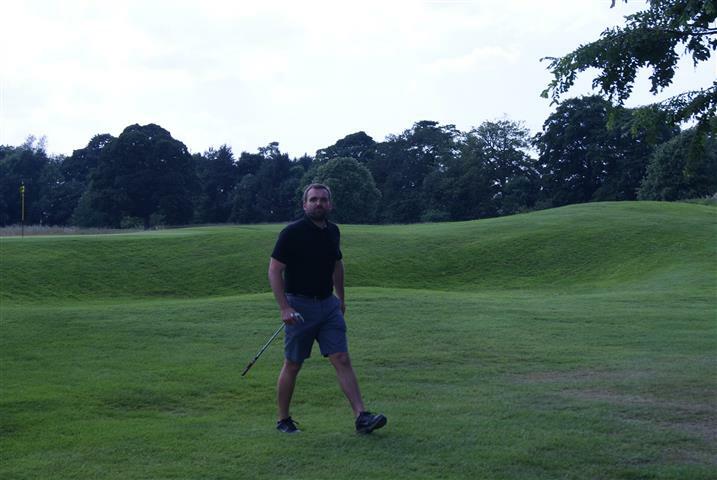 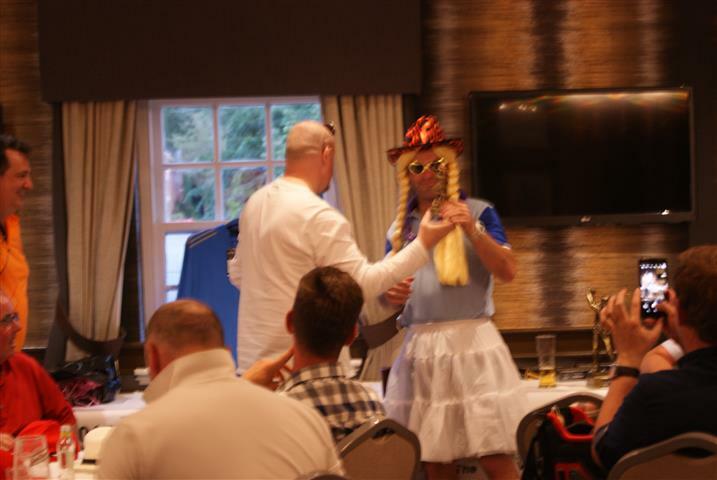 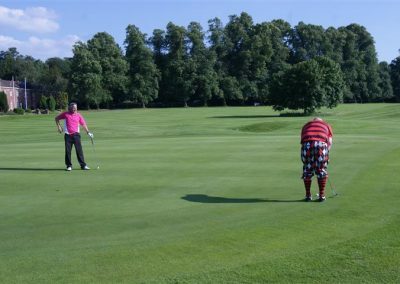 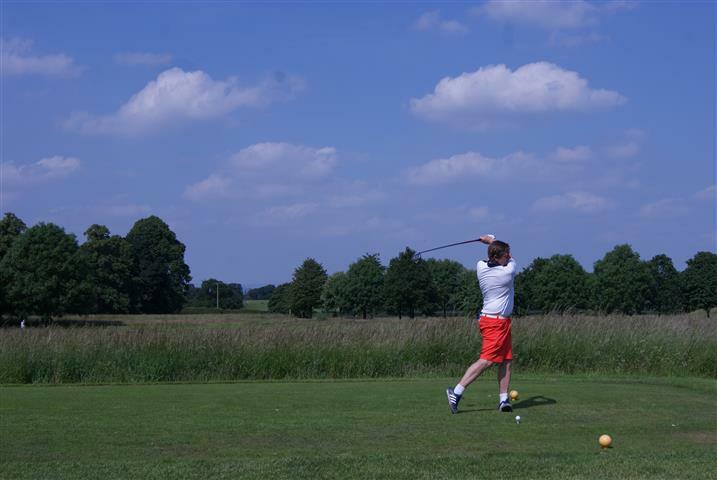 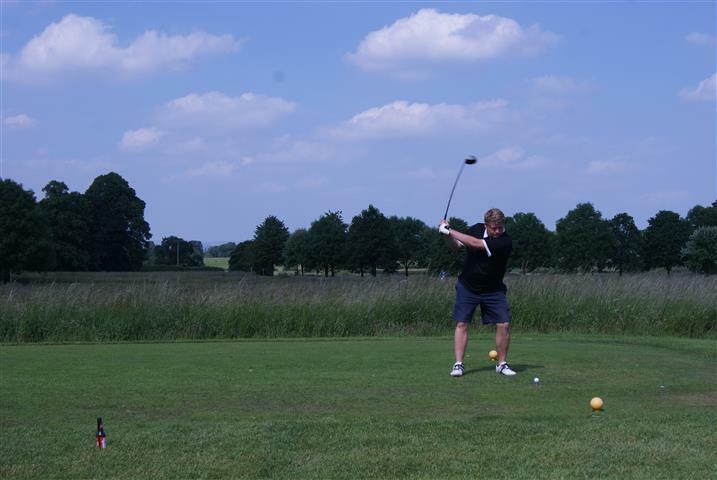 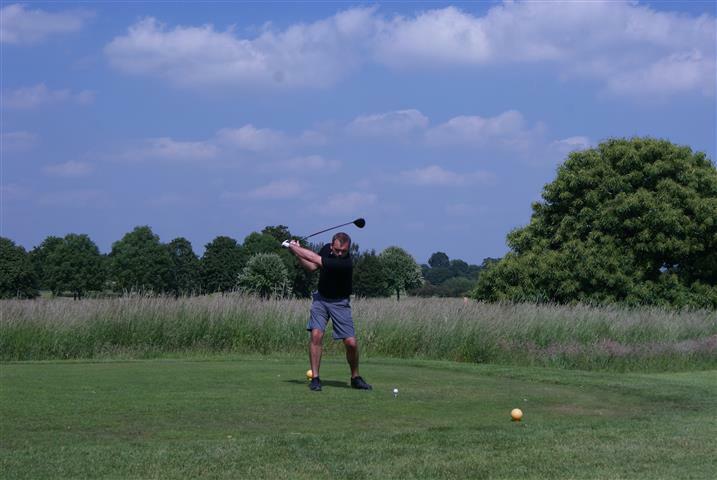 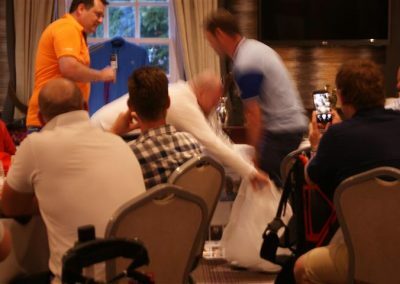 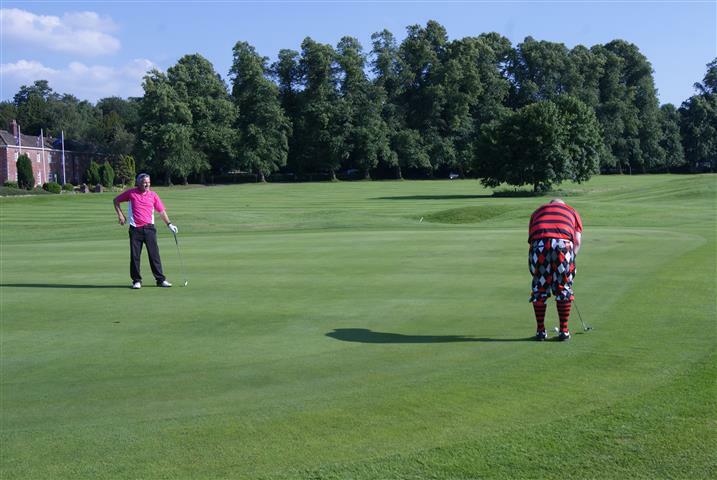 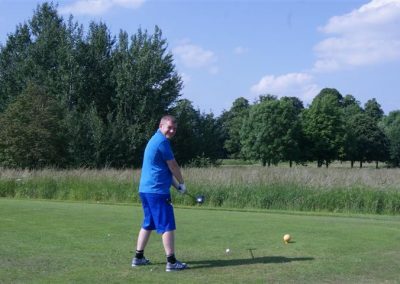 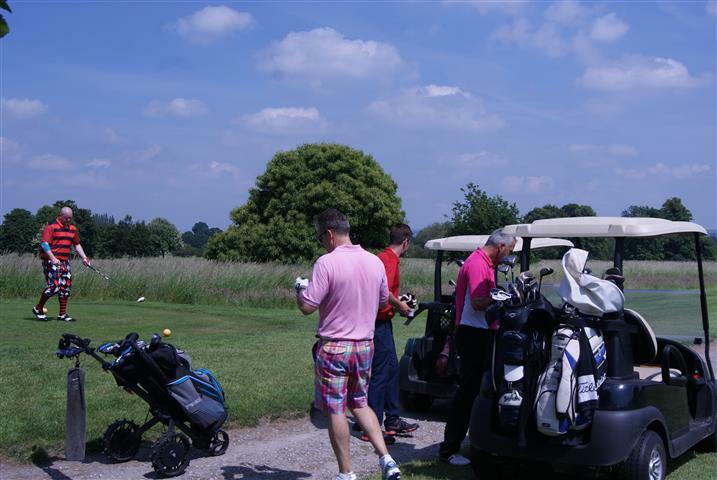 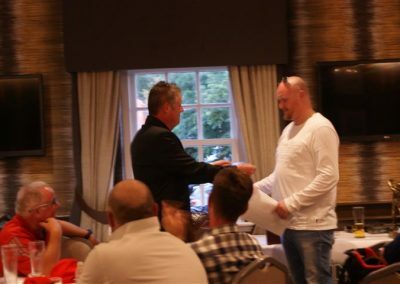 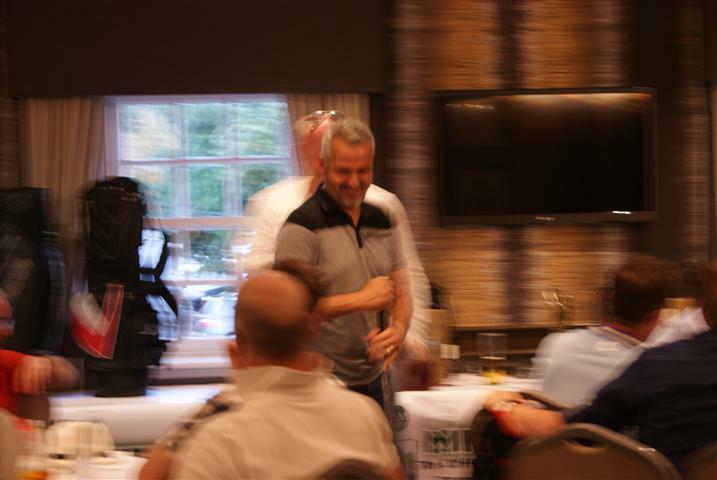 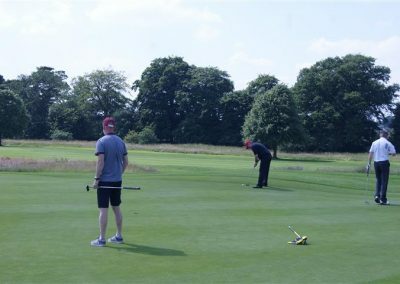 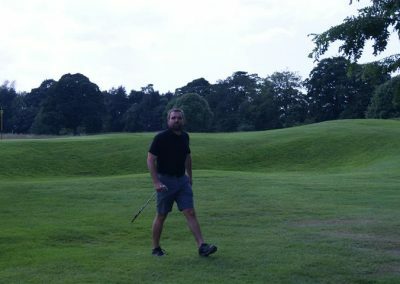 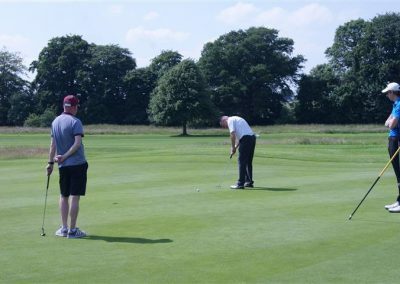 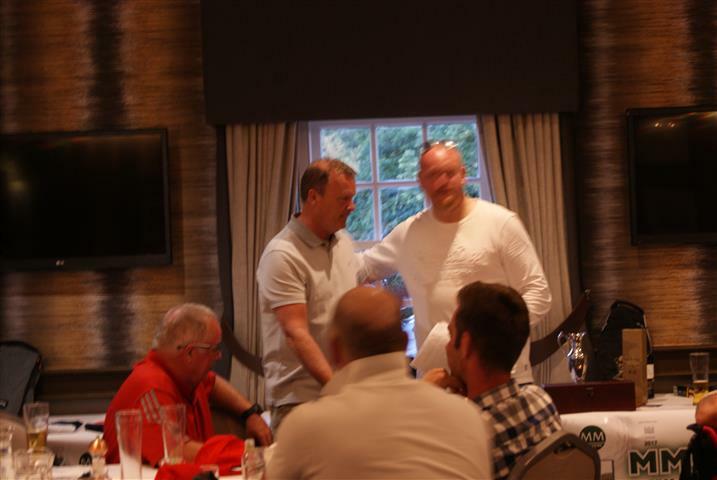 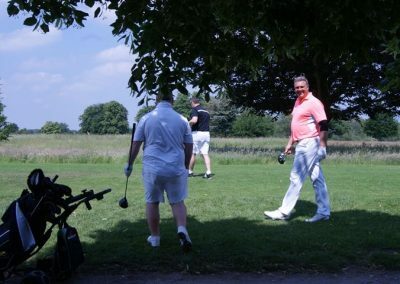 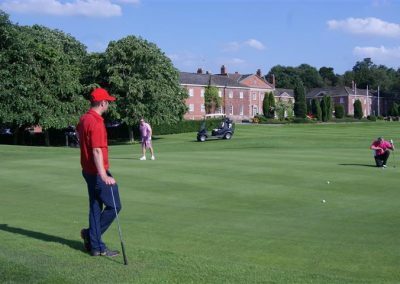 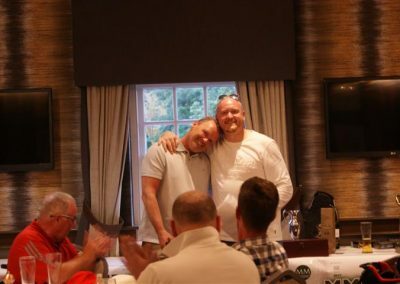 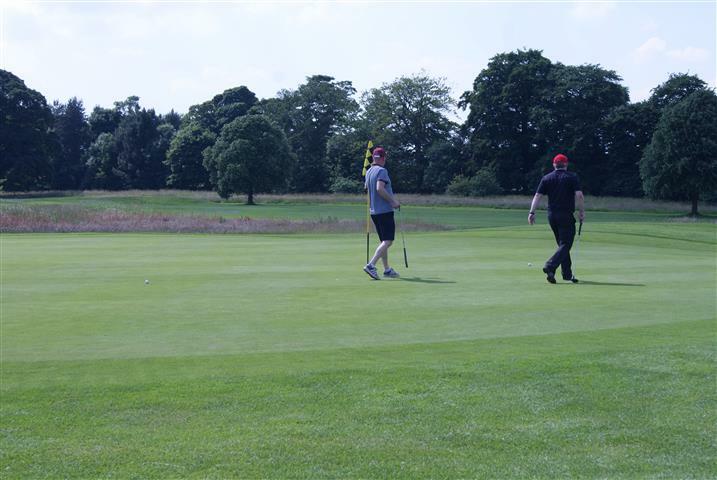 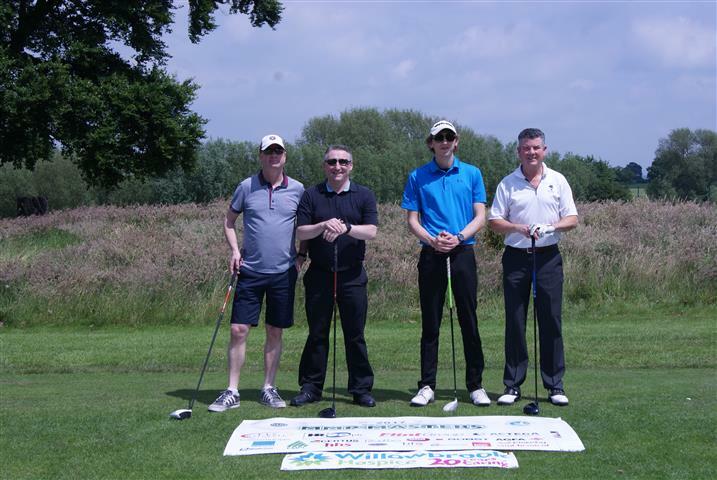 Last month, BFS were lucky enough to once again be invited to participate in the annual MMP UK Ltd Charity Golf Day at Mottram Hall in Cheshire. 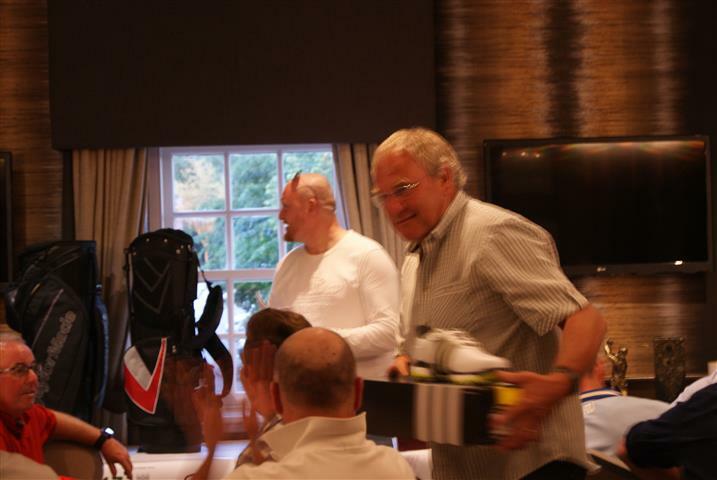 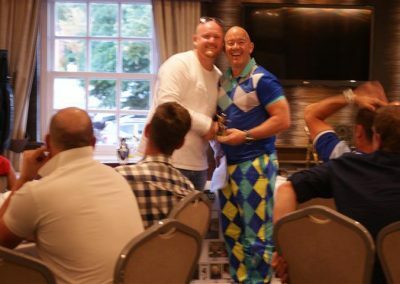 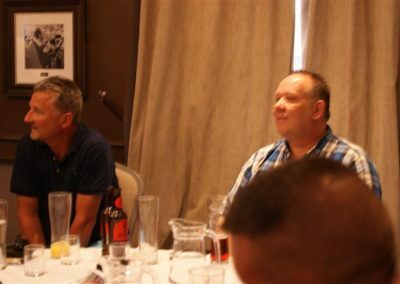 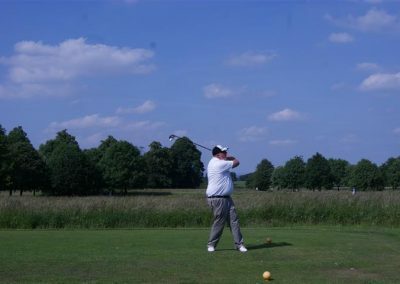 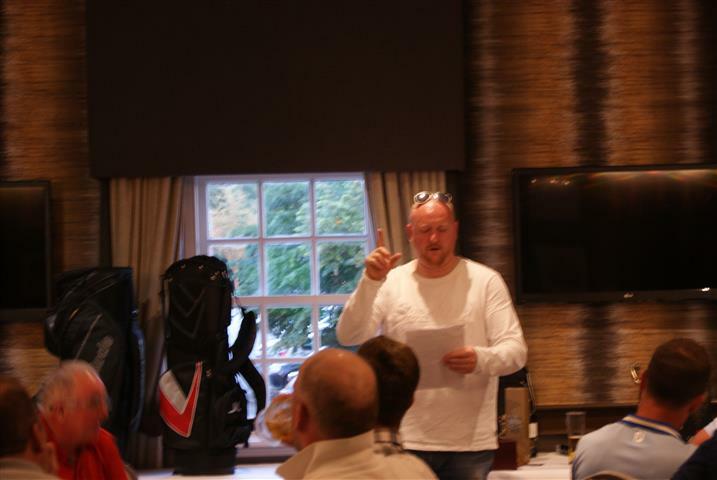 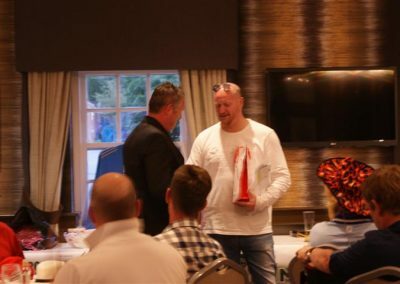 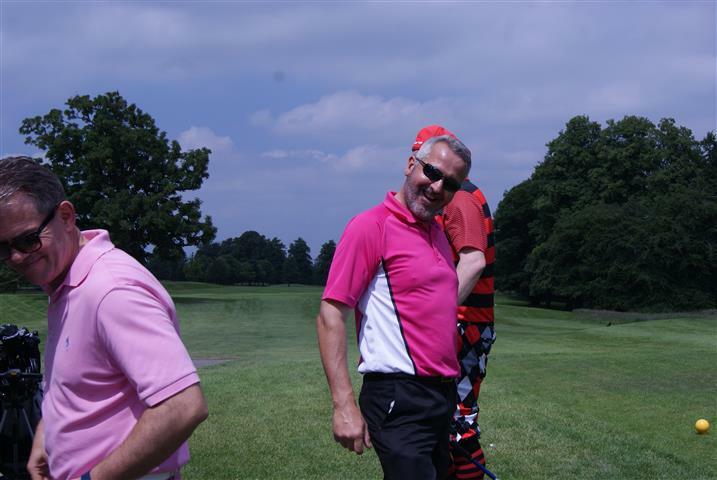 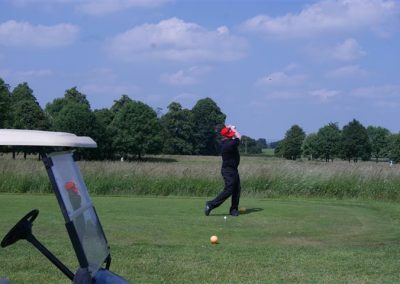 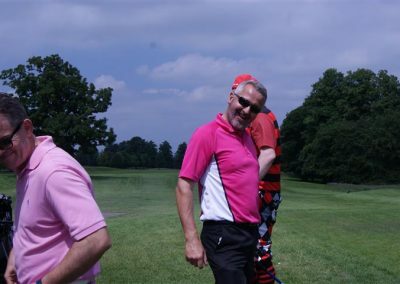 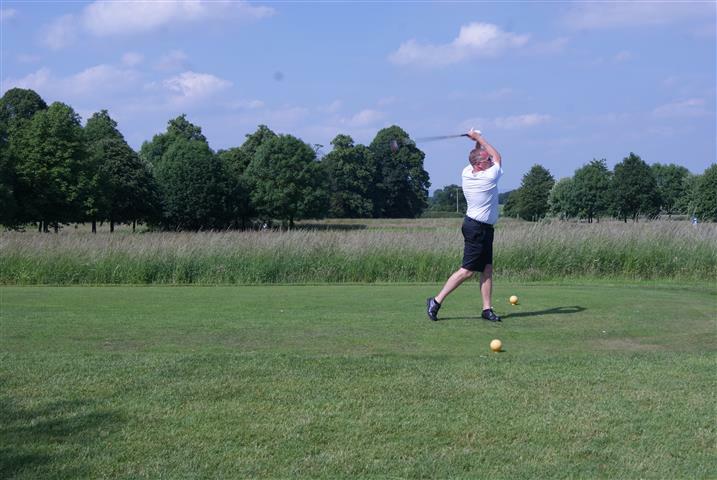 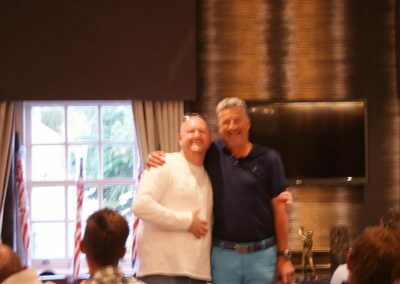 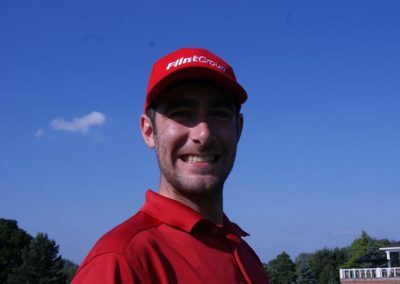 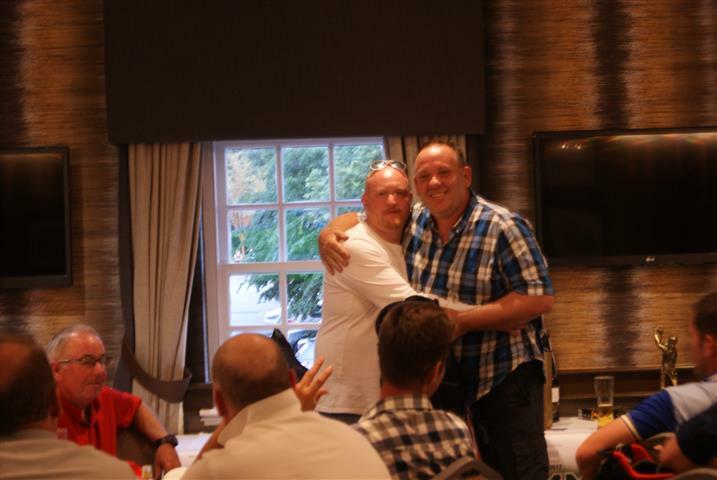 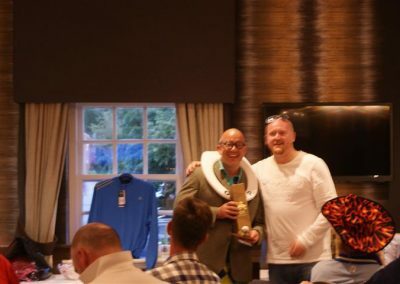 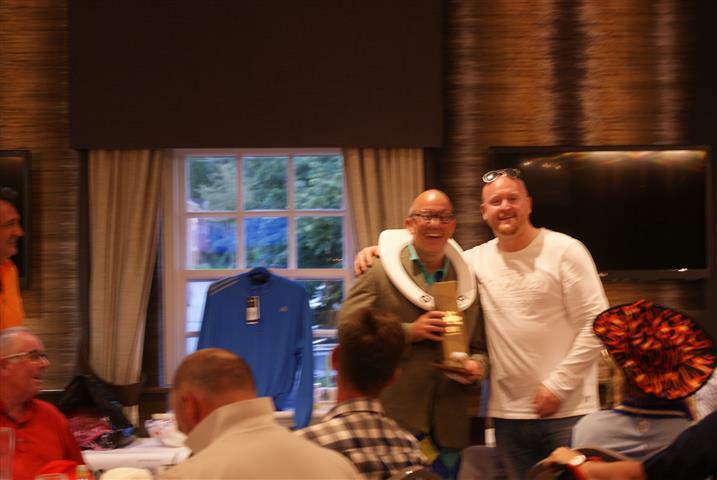 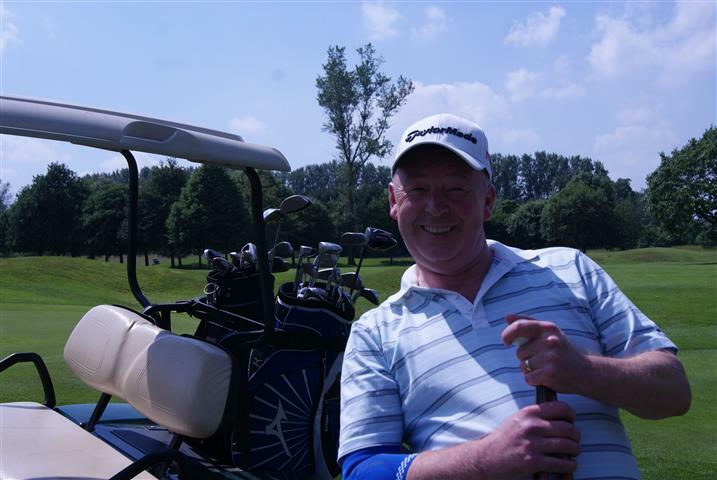 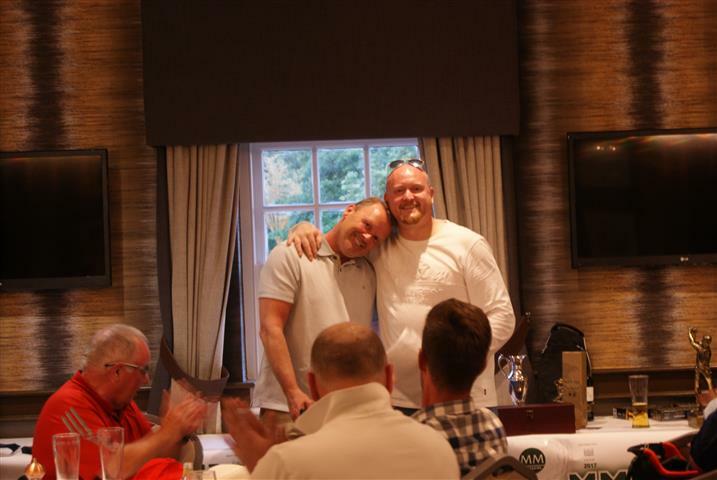 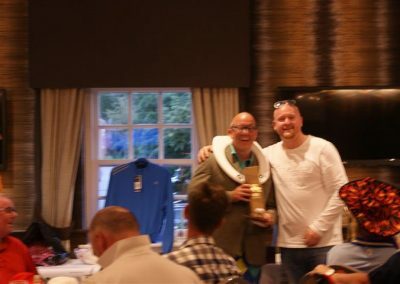 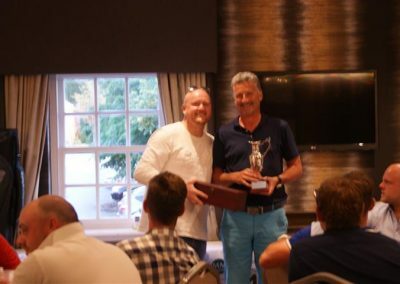 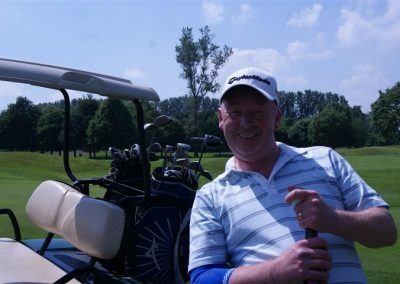 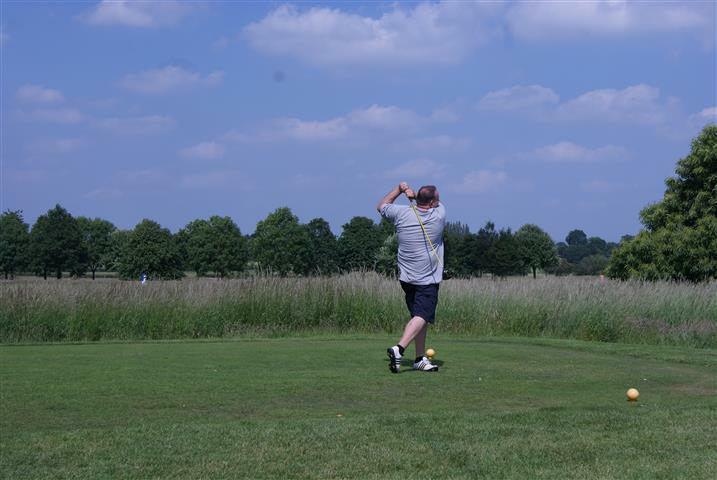 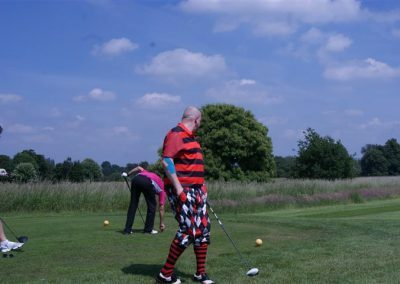 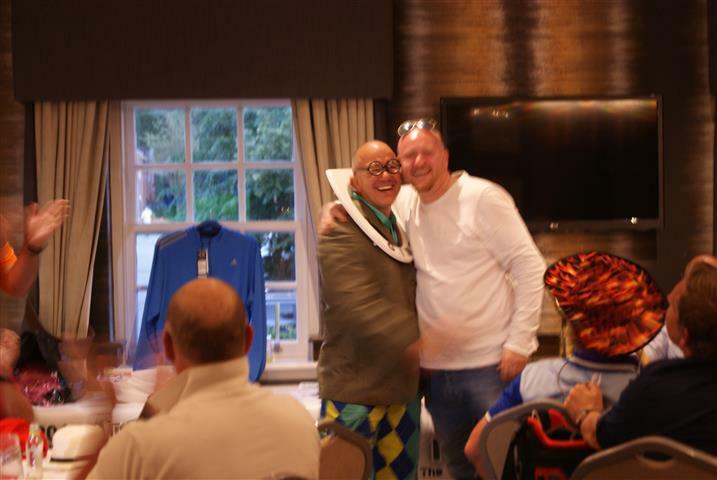 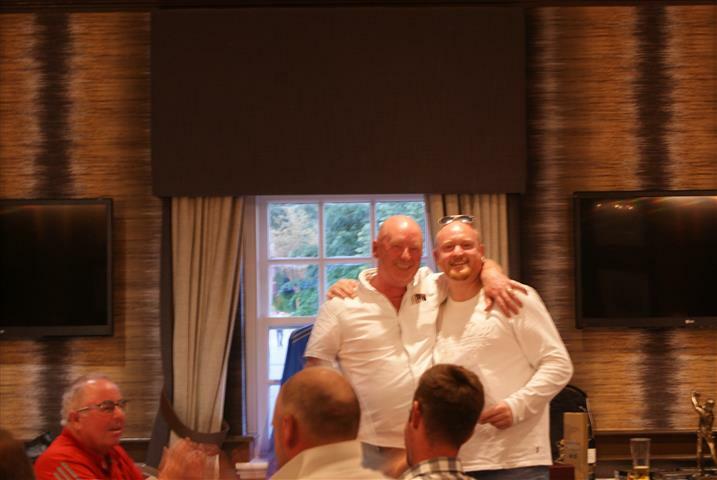 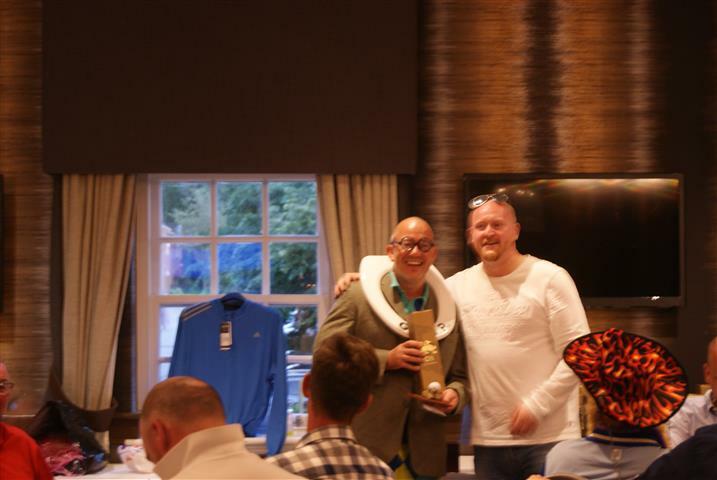 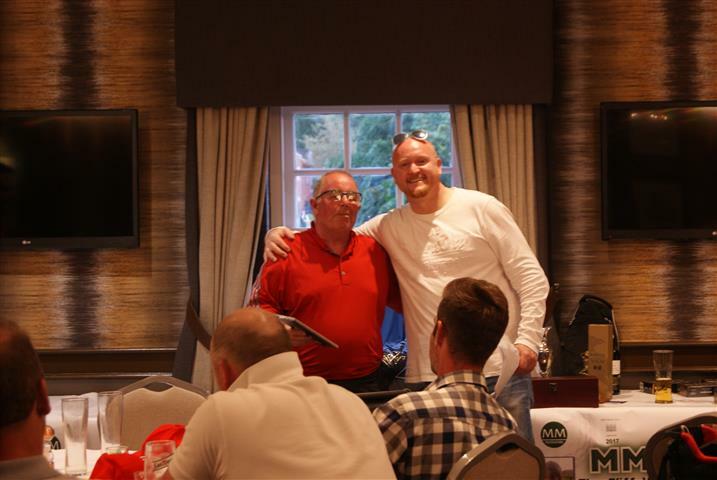 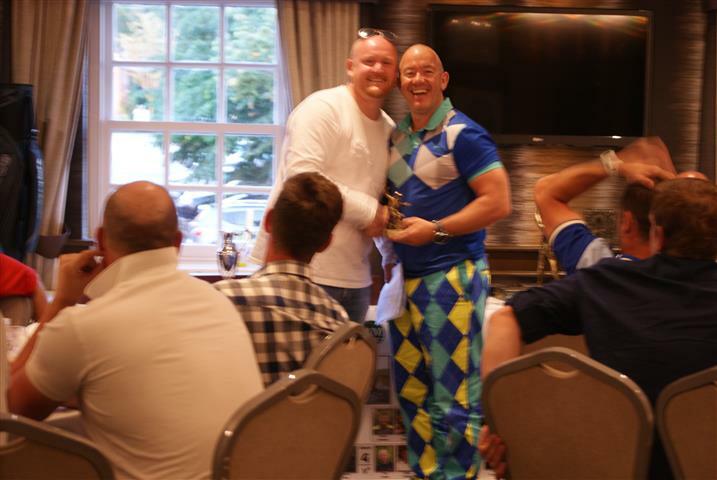 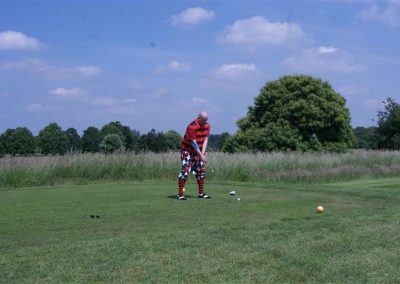 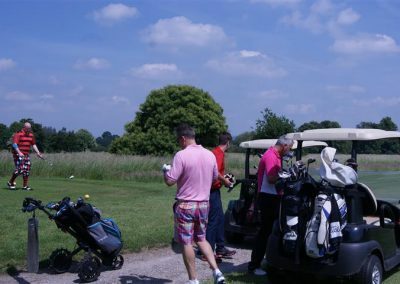 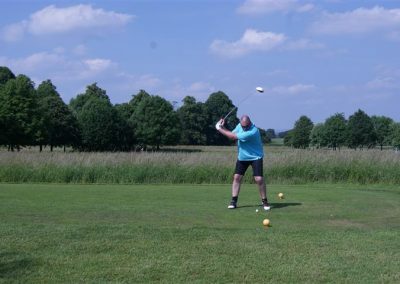 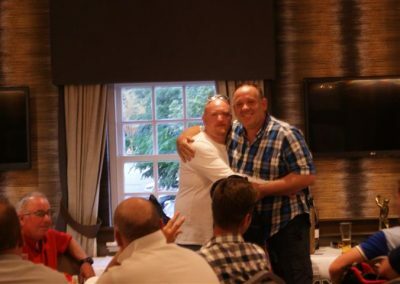 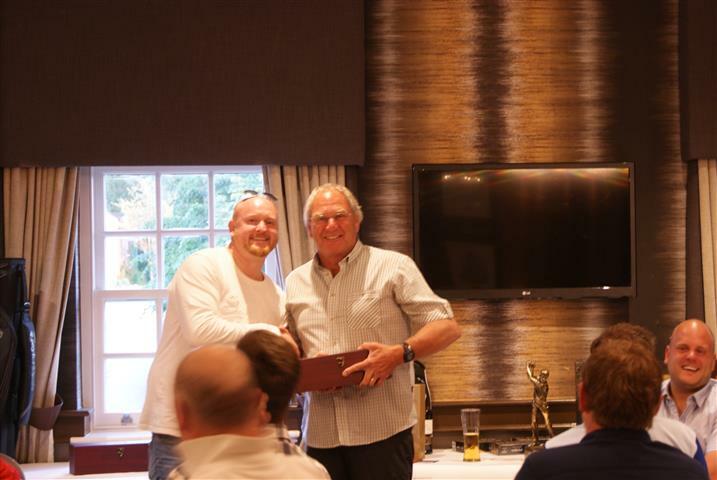 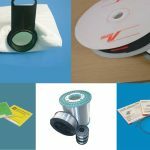 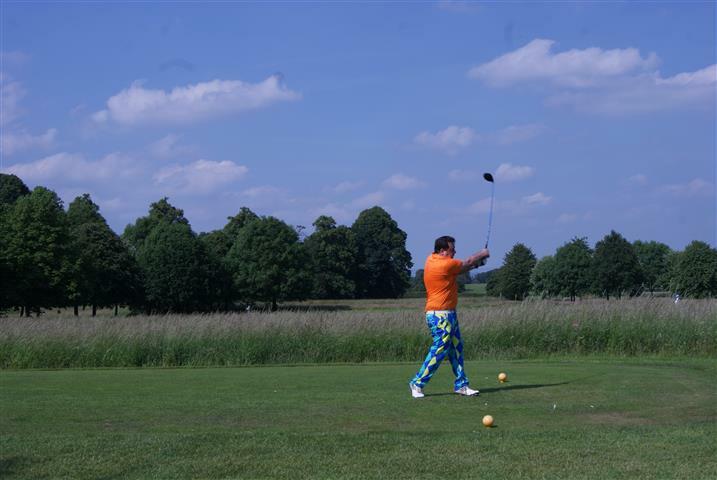 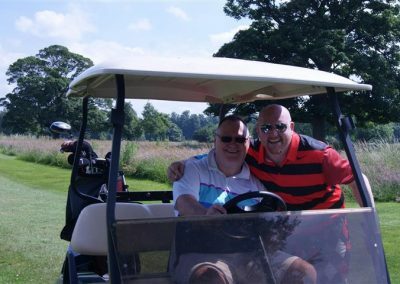 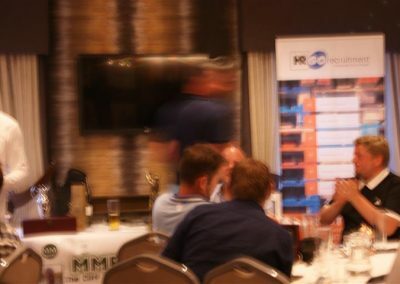 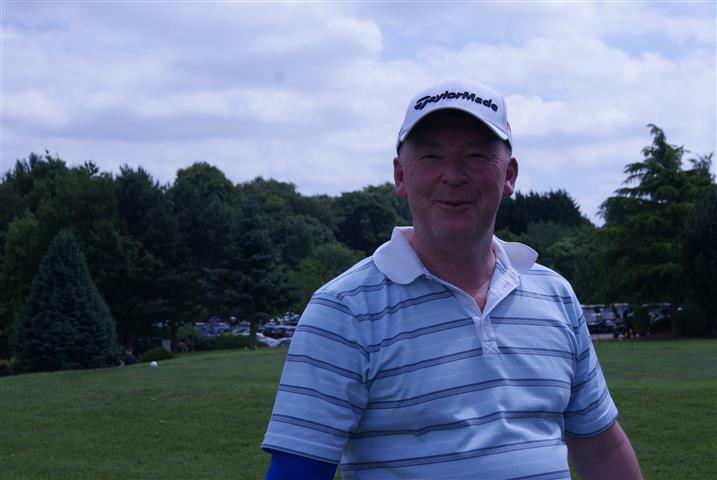 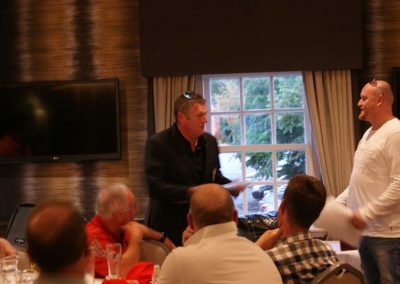 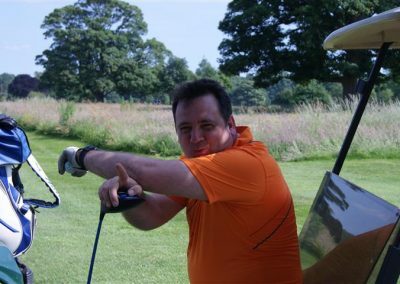 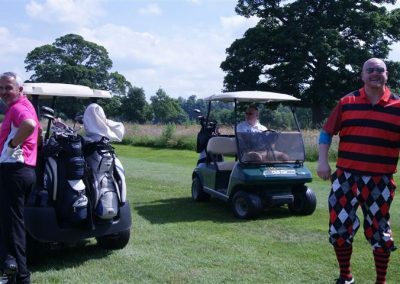 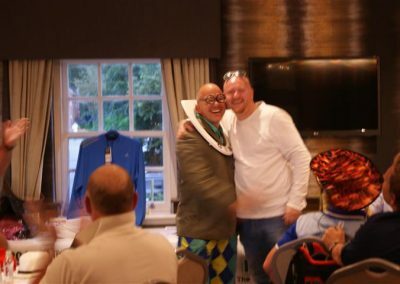 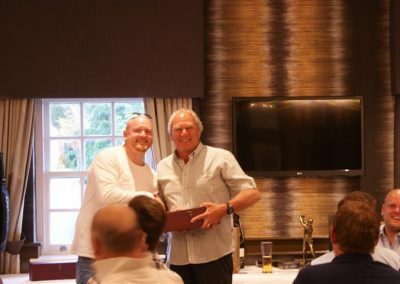 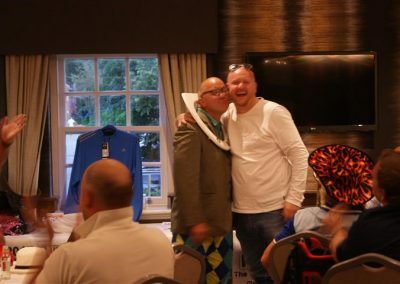 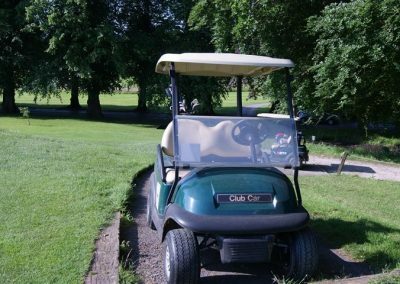 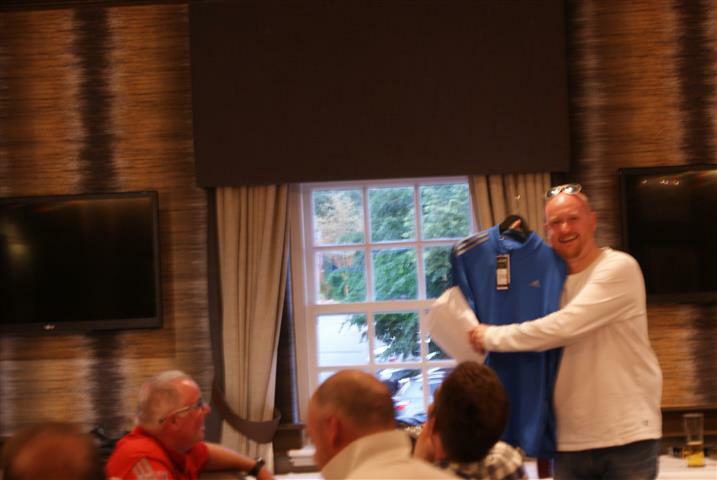 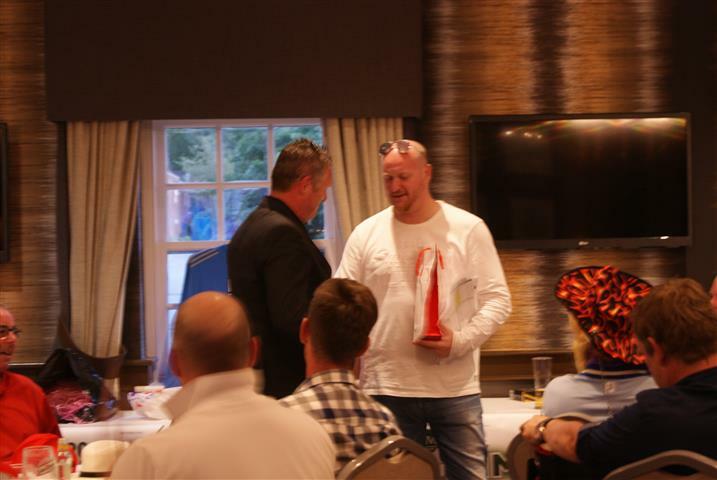 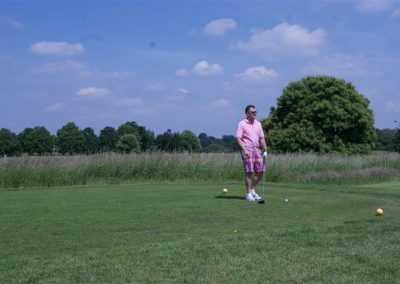 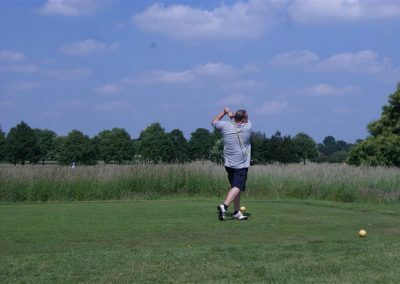 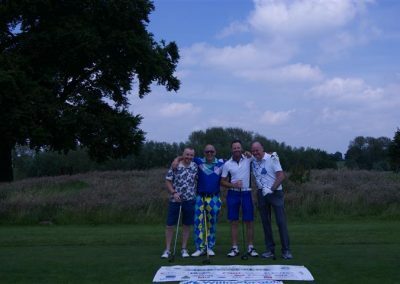 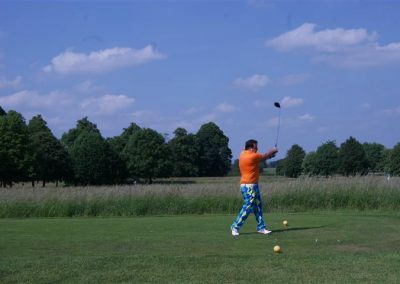 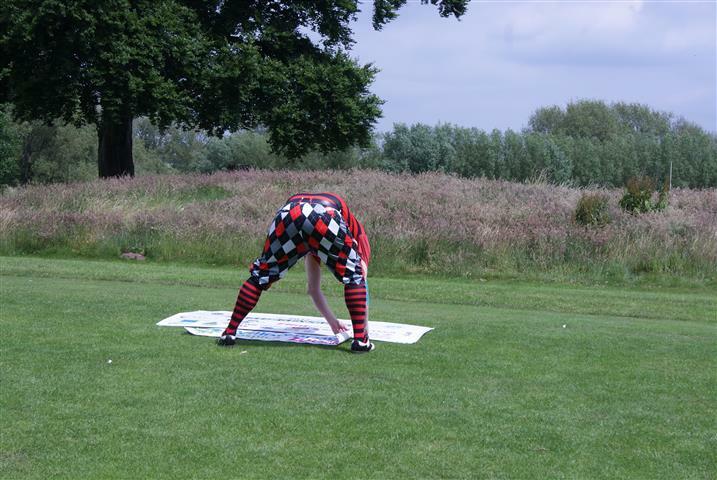 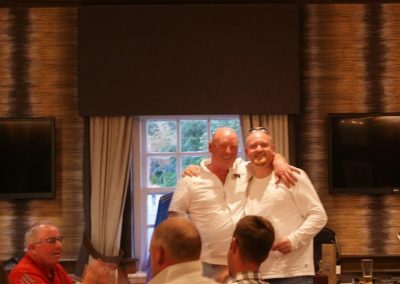 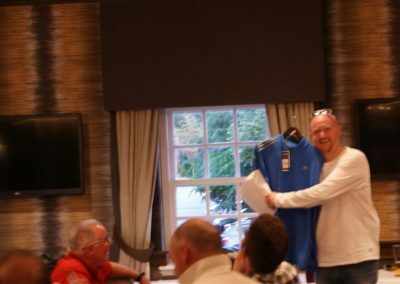 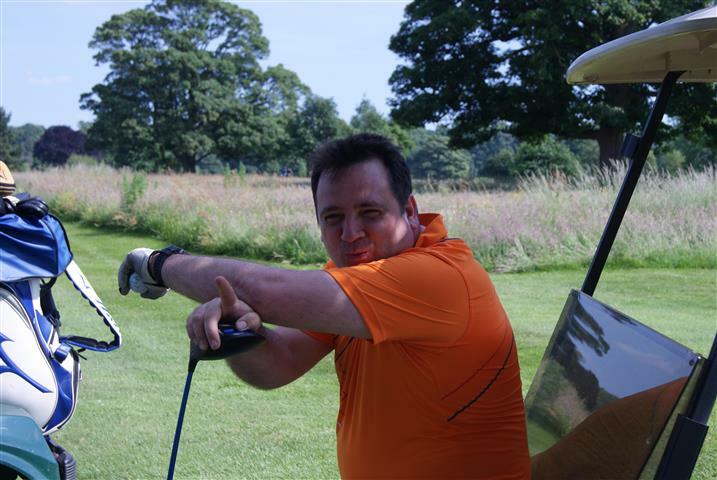 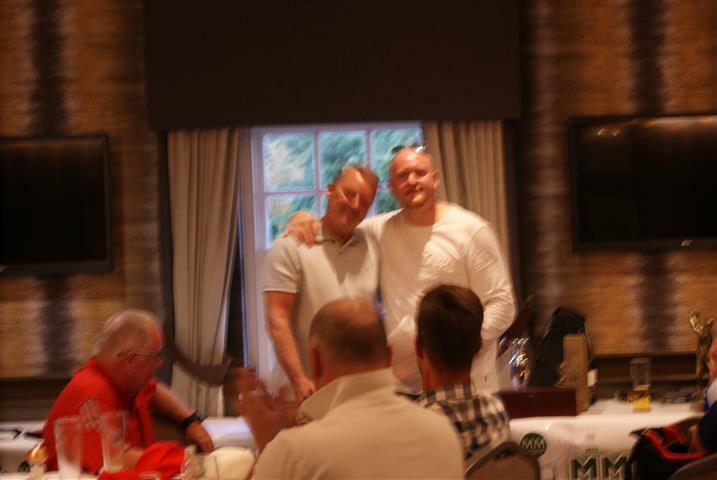 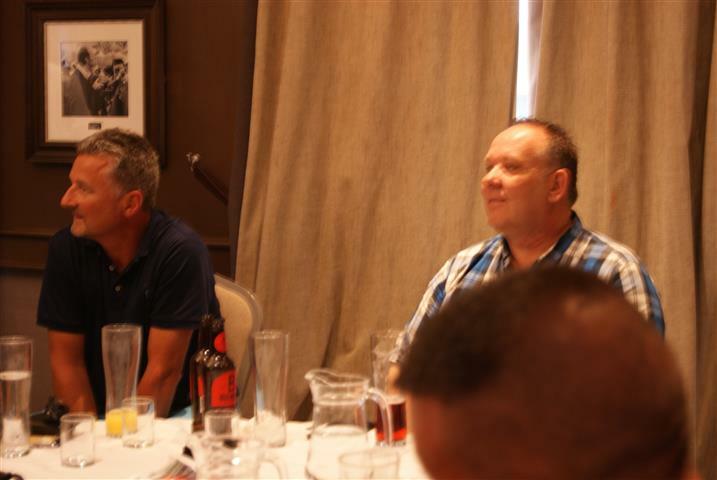 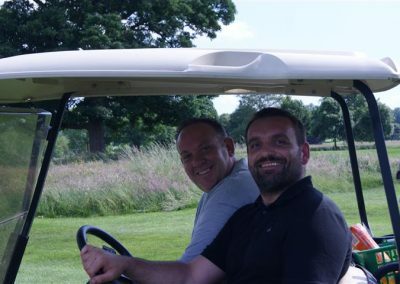 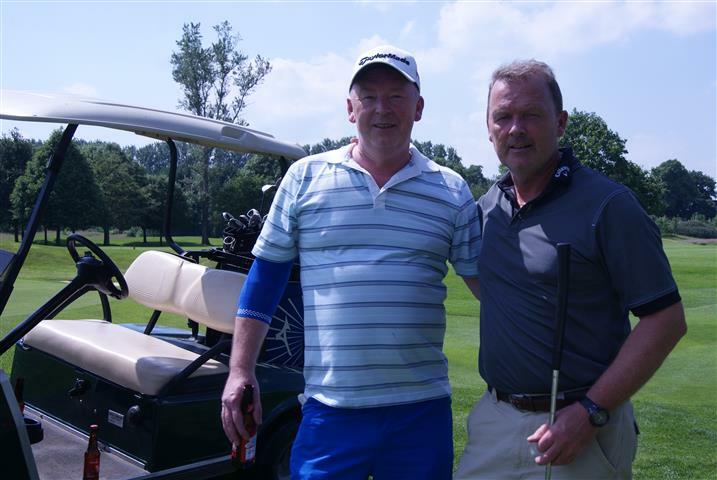 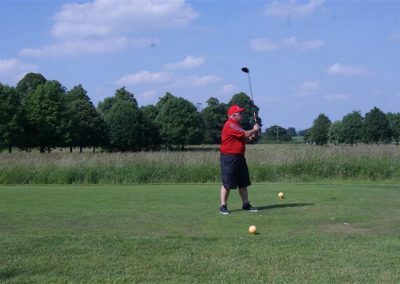 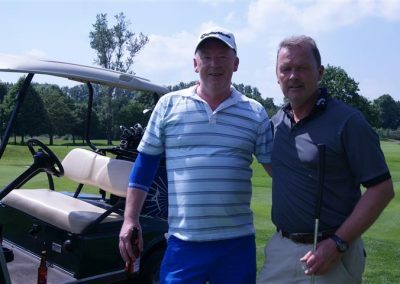 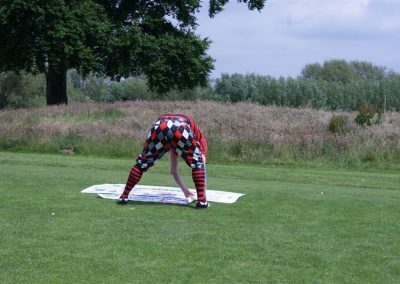 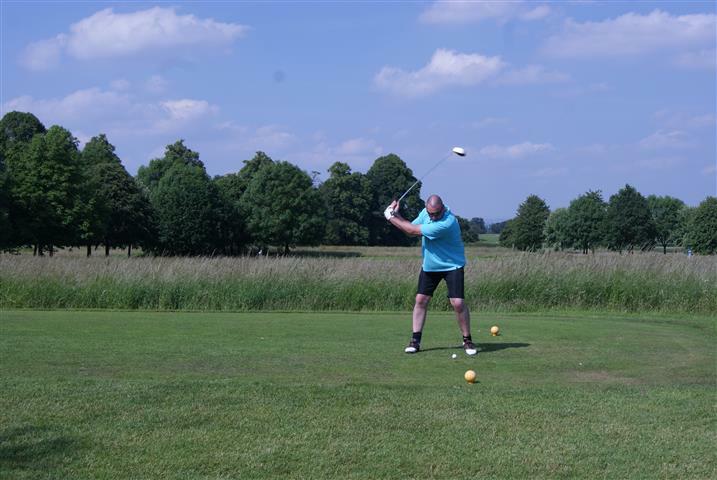 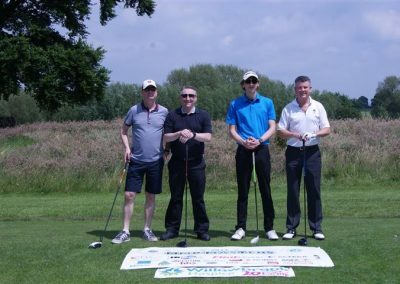 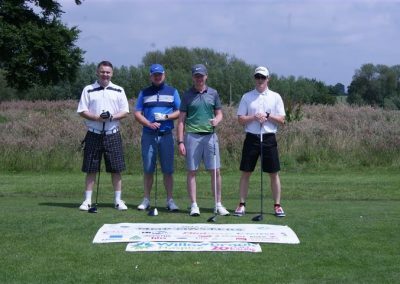 This year, the golf day was held in memory of one of MMP’s top printers, Cliff Woosey, a much loved character and a true gentleman, who sadly passed away quite rapidly following a diagnosis of cancer. 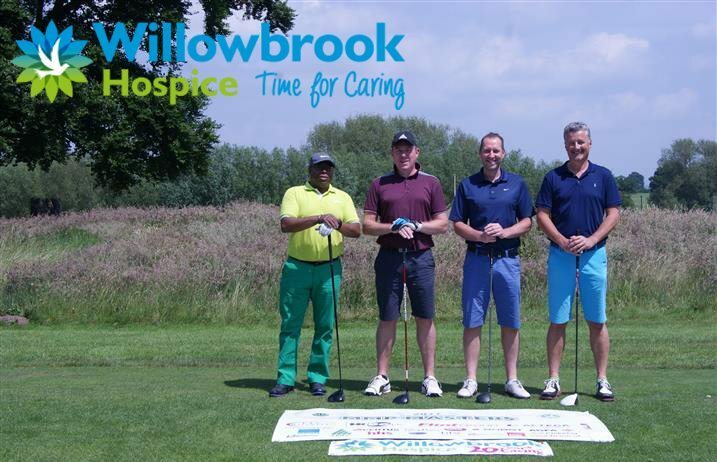 It was therefore very fitting that the money raised should go to Willowbrook Hospice, where Cliff was cared for in his final days. 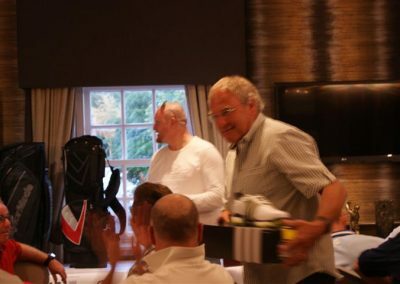 Cliff was a great team player, so what better way to remember him by than holding a team event? 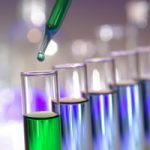 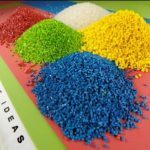 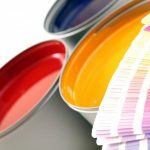 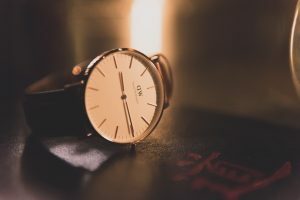 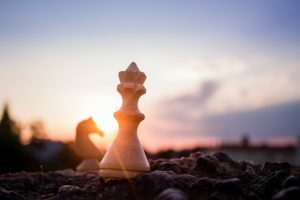 …And so the MM Masters 2017 was born! 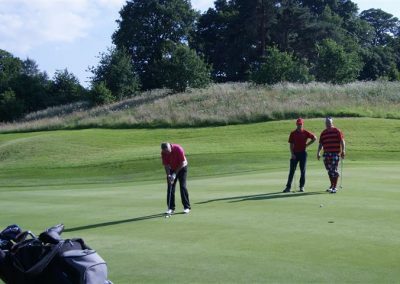 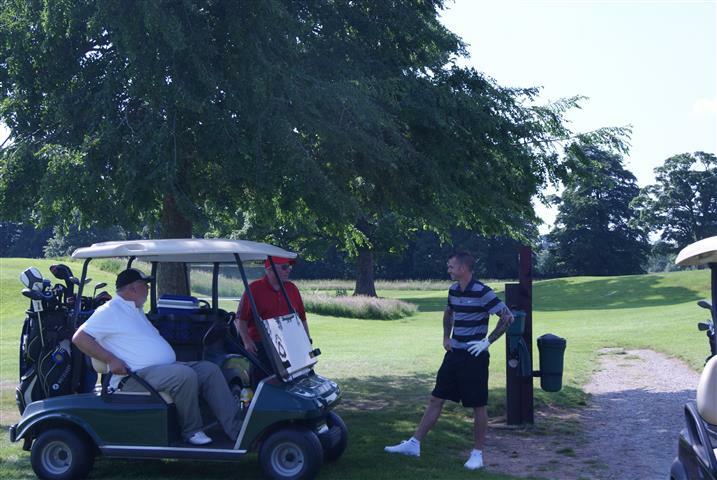 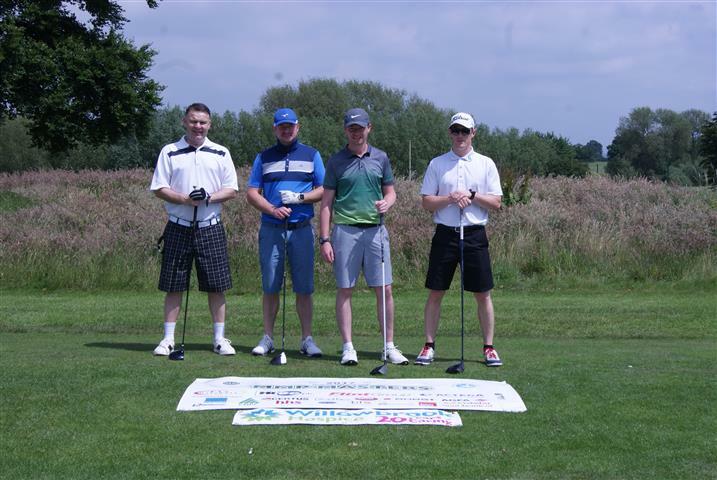 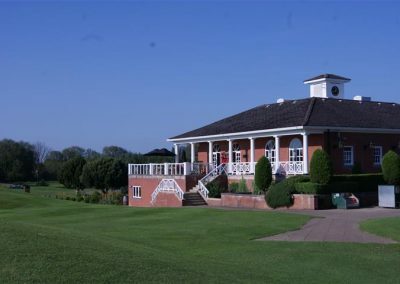 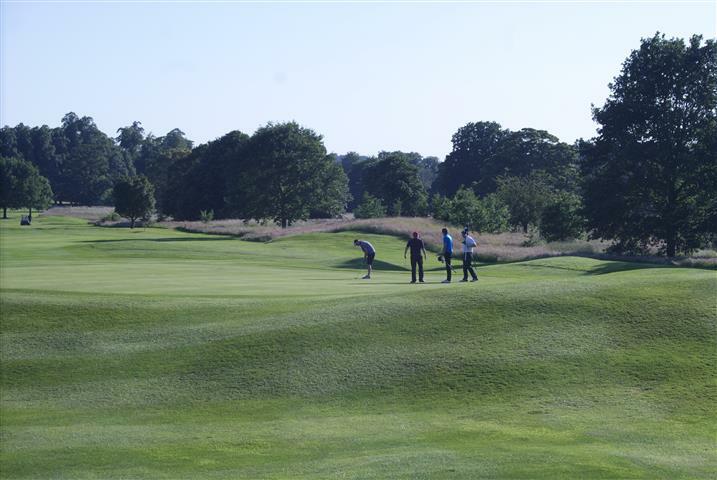 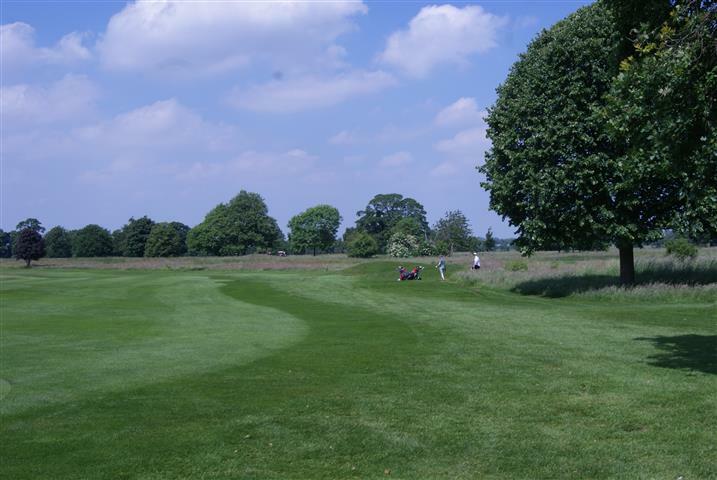 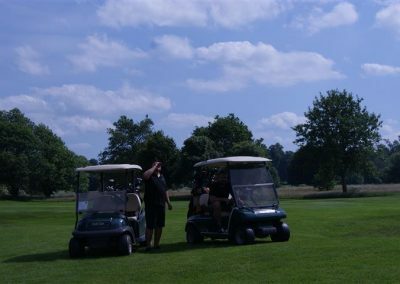 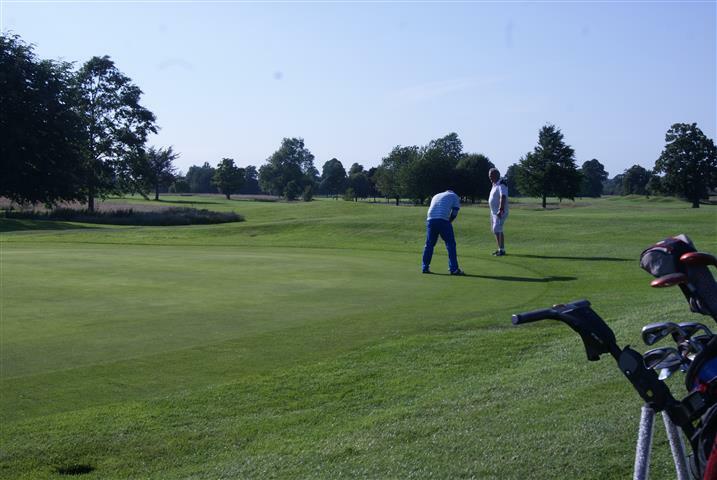 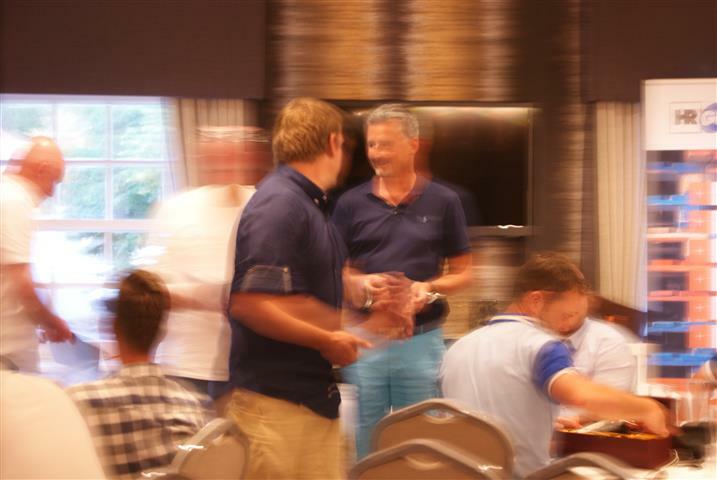 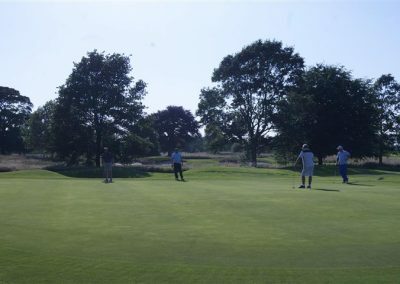 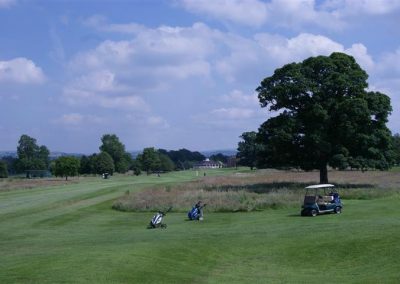 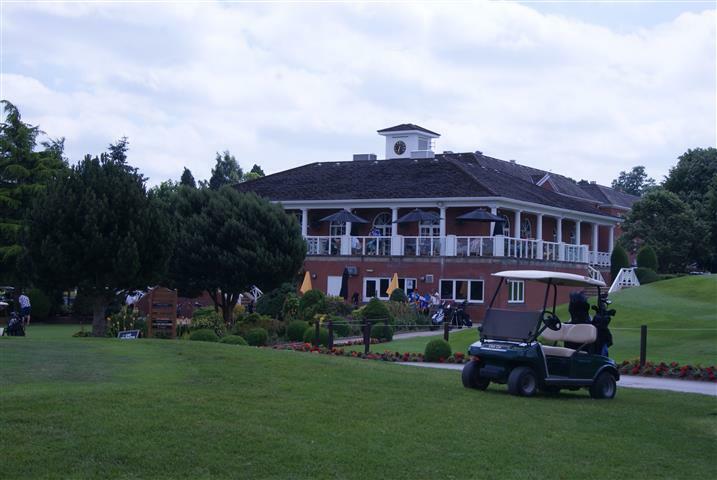 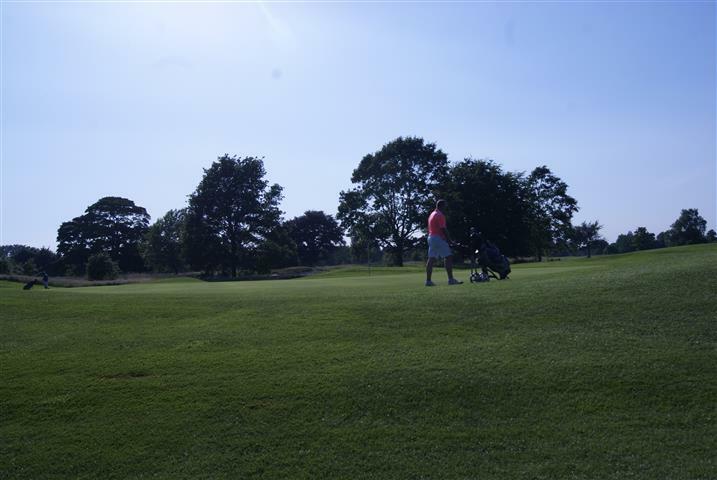 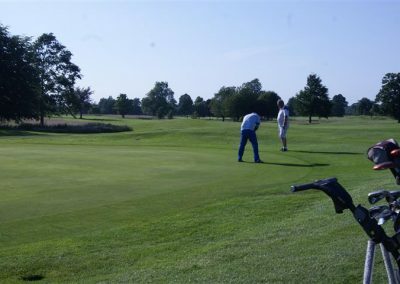 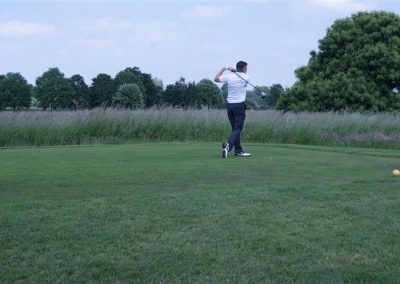 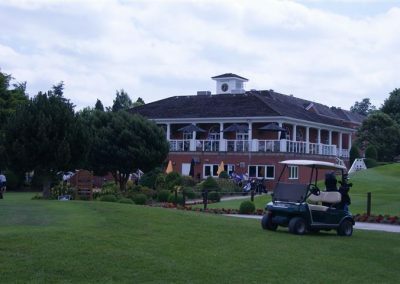 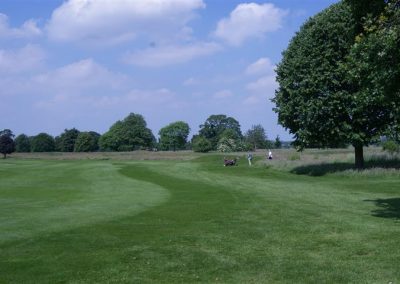 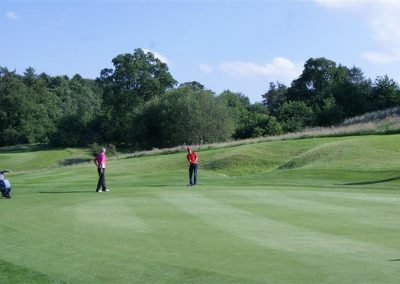 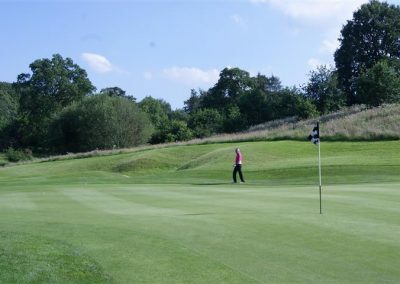 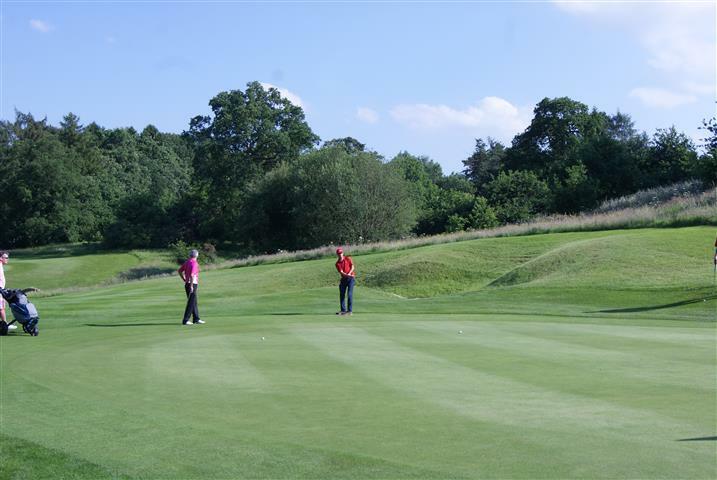 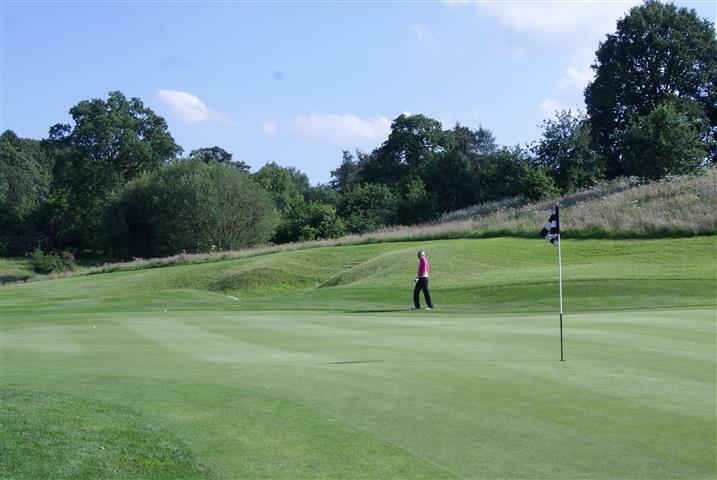 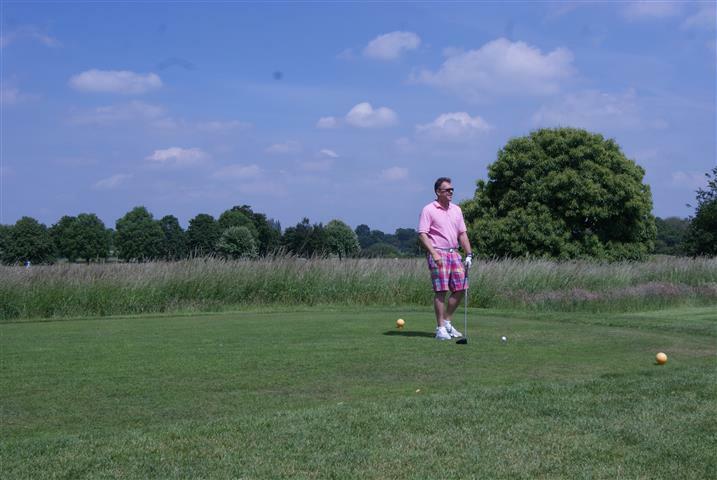 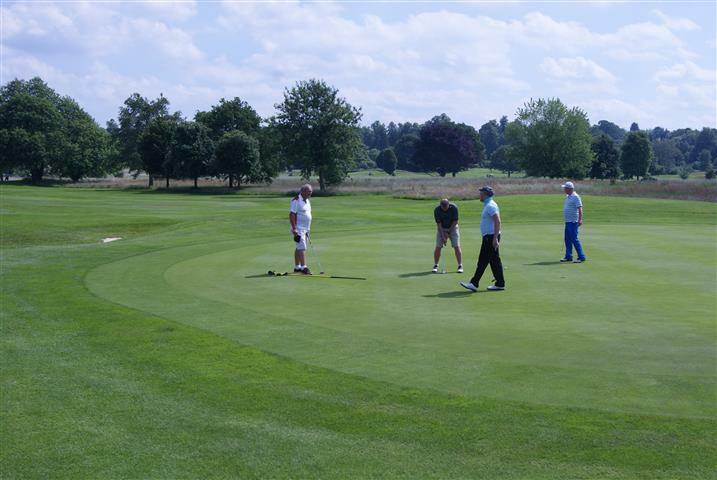 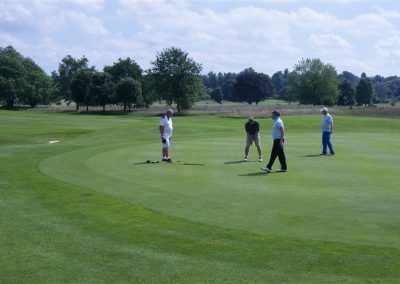 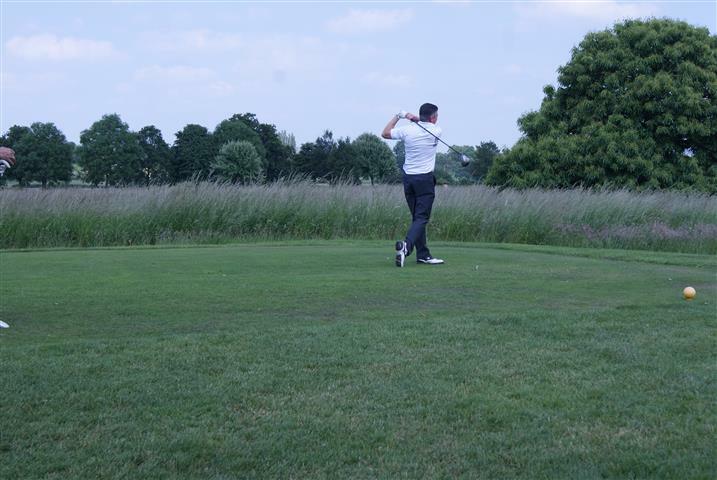 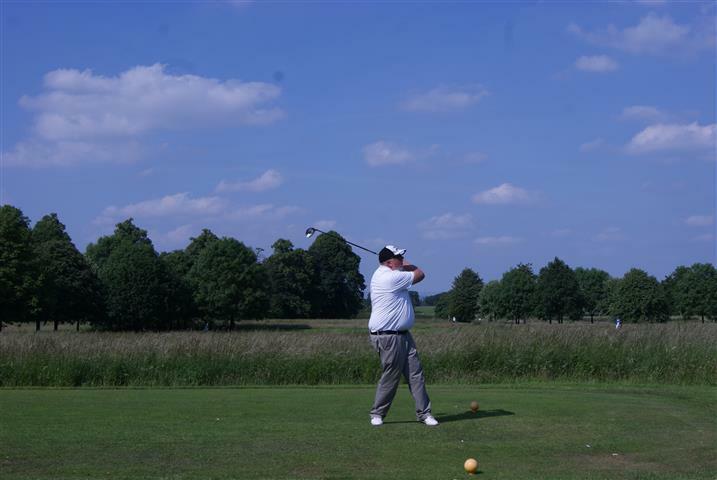 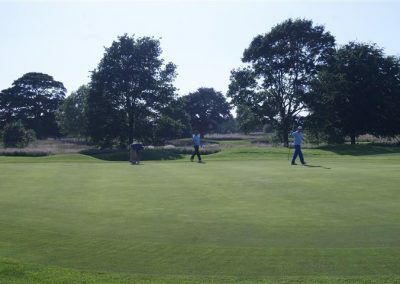 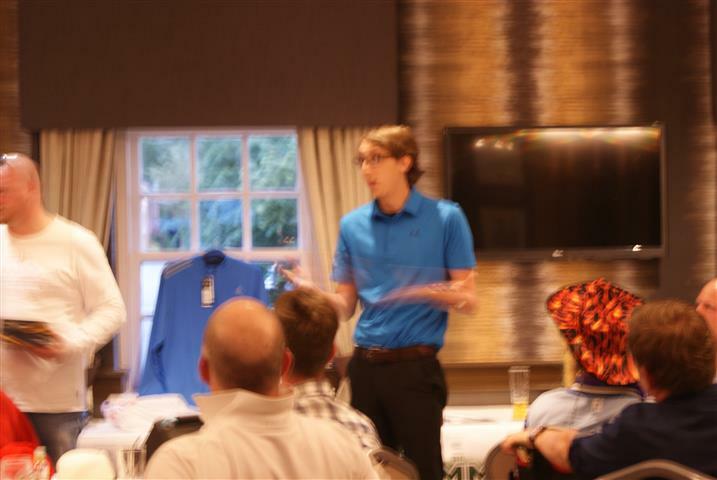 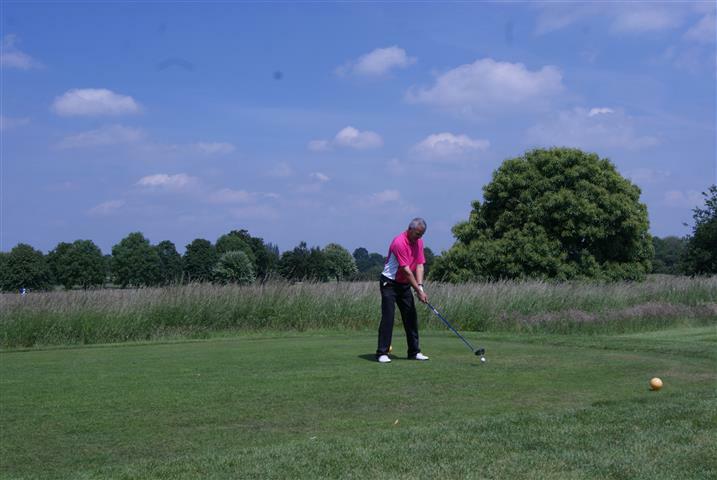 A Ryder Cup style team event running alongside the normal Stableford MM Masters Tournament. 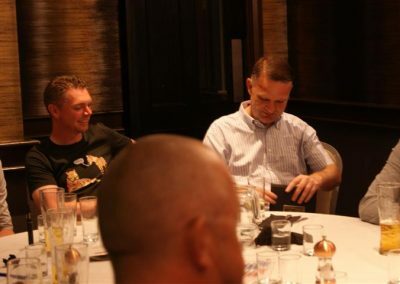 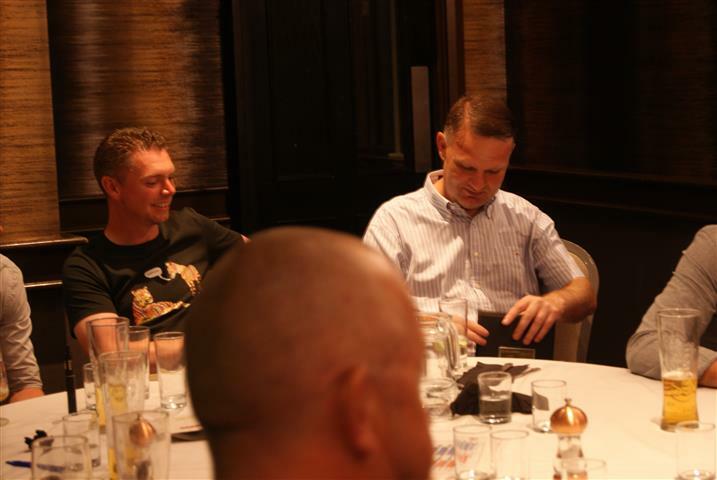 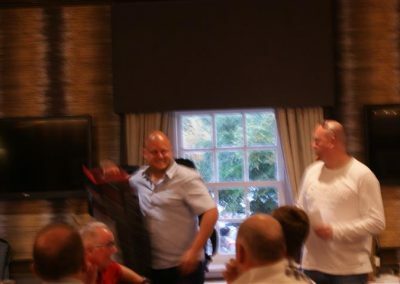 Each team (captained by Keith Brazier, the event’s organiser, and Steve McGuinness) selected a team: Brazier’s Banditos versus Macca’s Marauders! 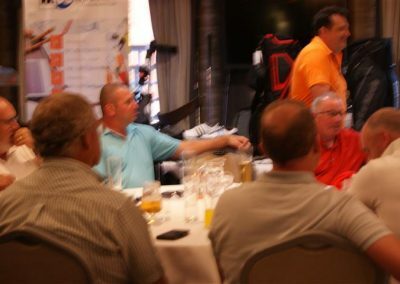 In the event the scores might be level overall at the end, Keith and Steve selected their ‘champions’. 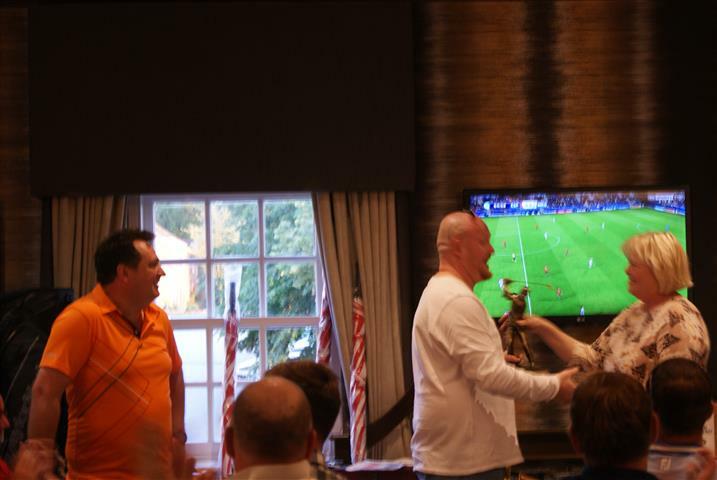 The ‘champion’ with the highest score would then claim the victory for his team! 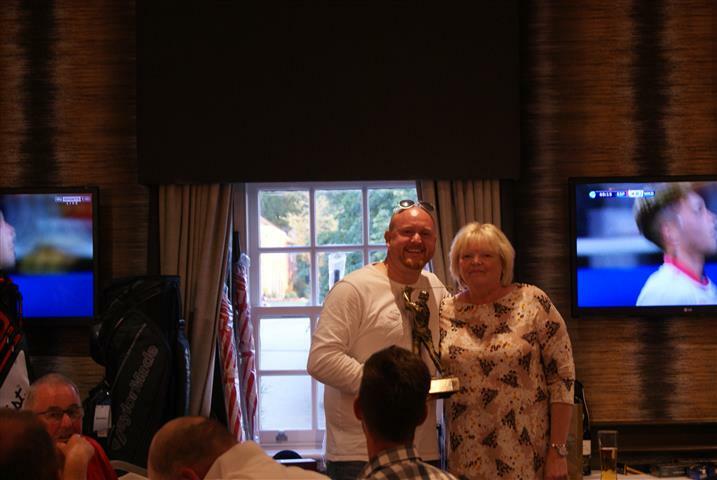 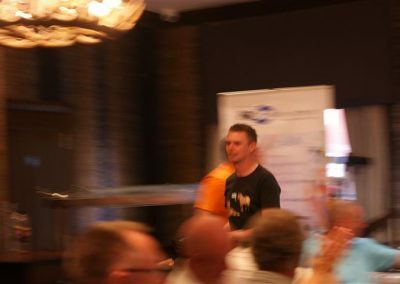 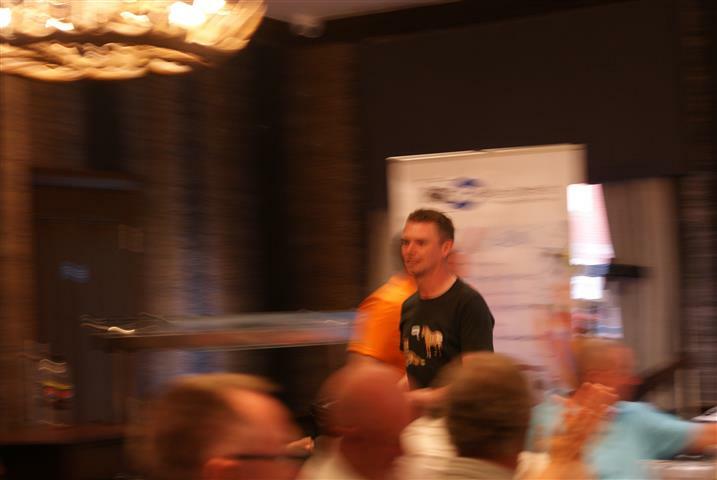 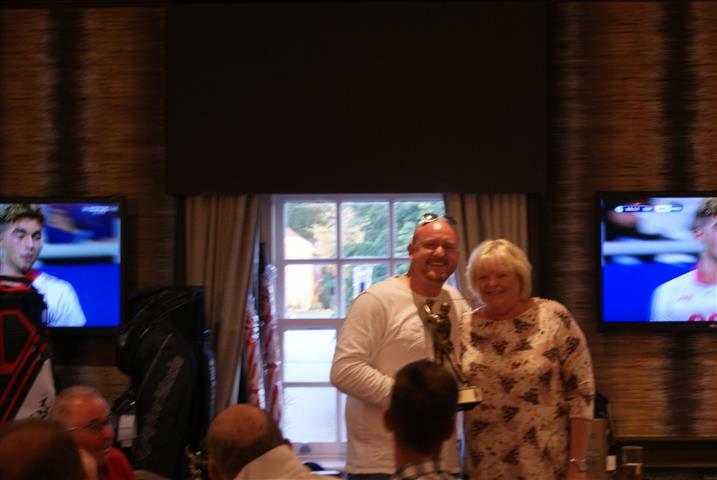 Keith chose Robin Hope from BFS as his Champion and he didn’t let his team or captain down! 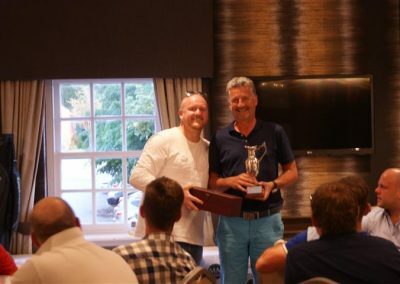 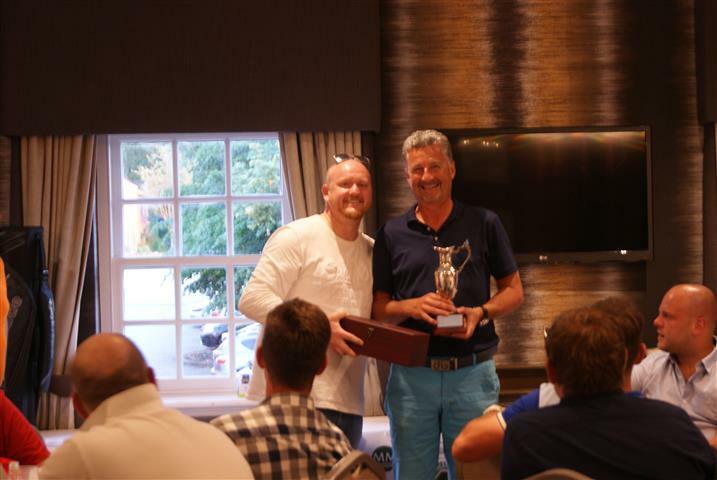 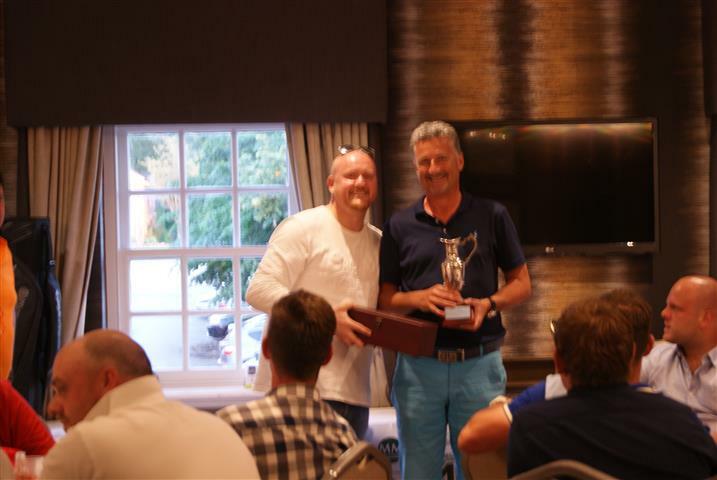 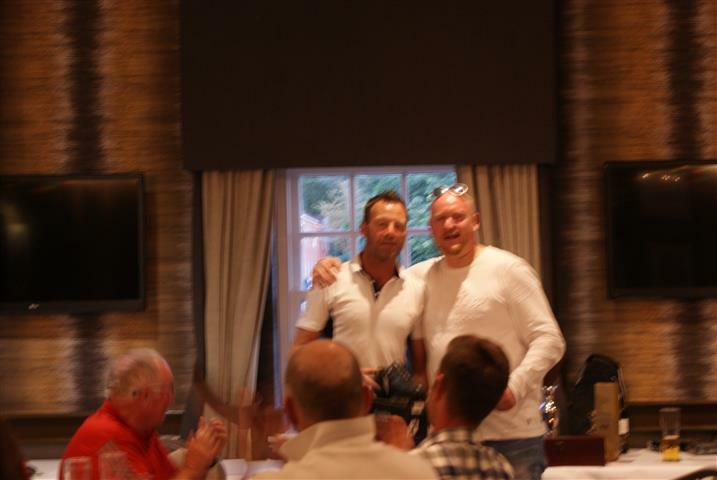 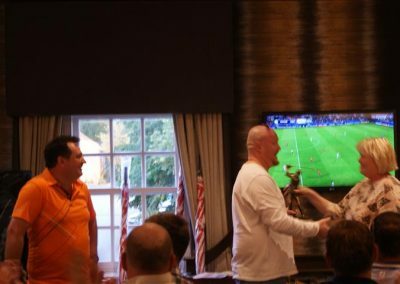 At the end of a beautifully sunny day on the course, the Cliff Woosey Memorial Trophy was handed to Brazier’s Banditos and £815 was raised for the Willowbrook Hospice. 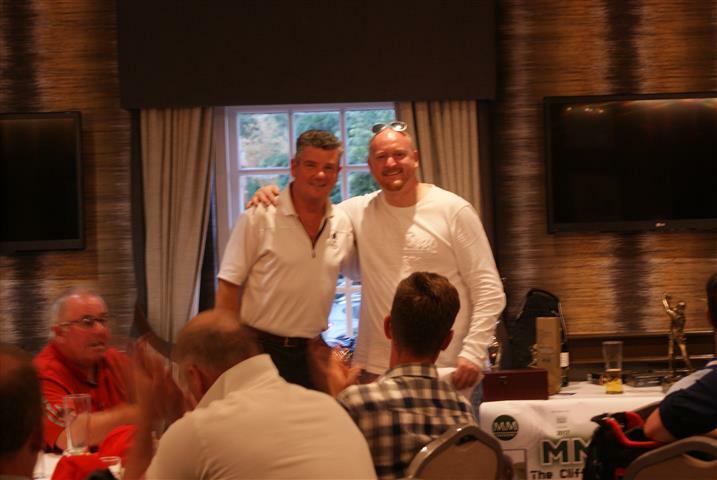 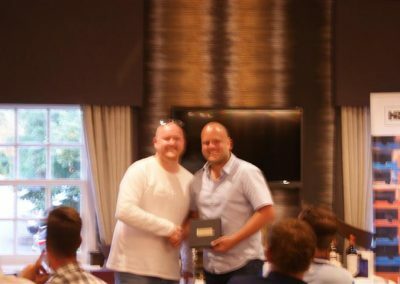 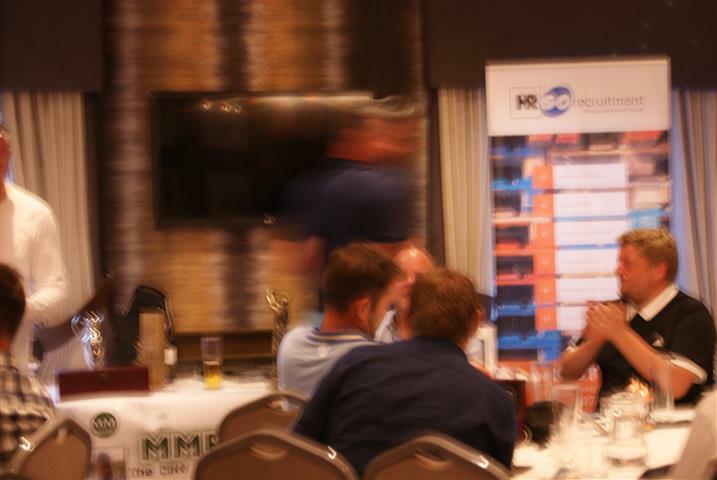 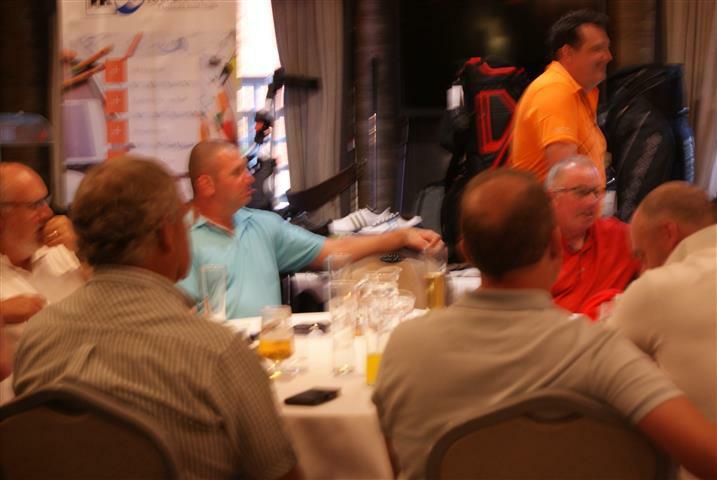 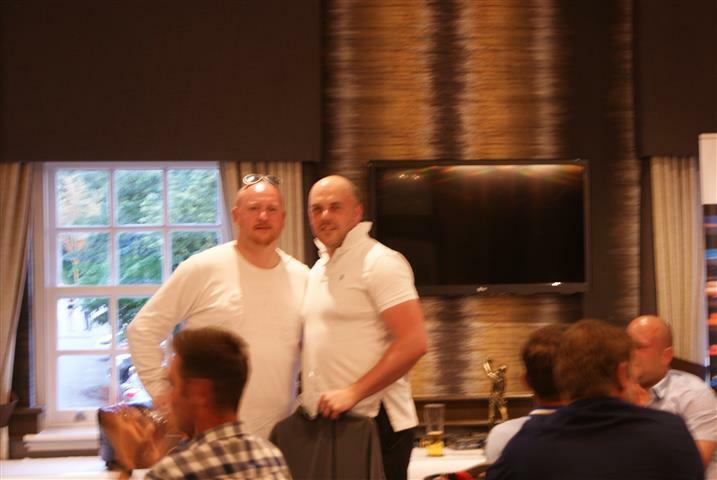 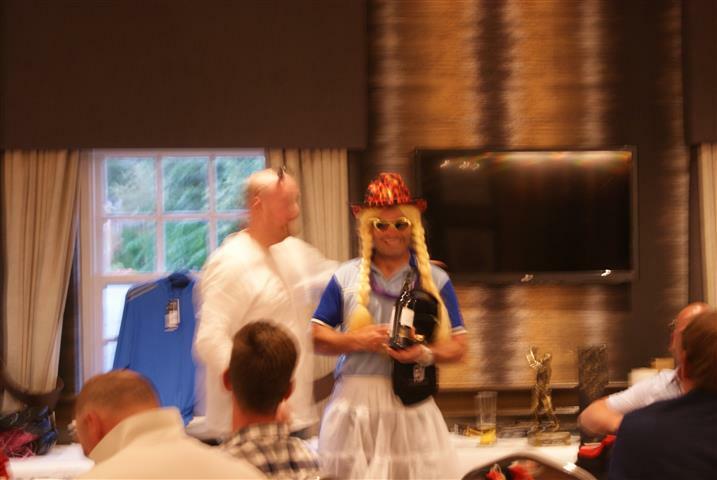 A big thank you to Keith at MMP UK Ltd for organising and hosting a great day and supporting such a worthwhile cause.